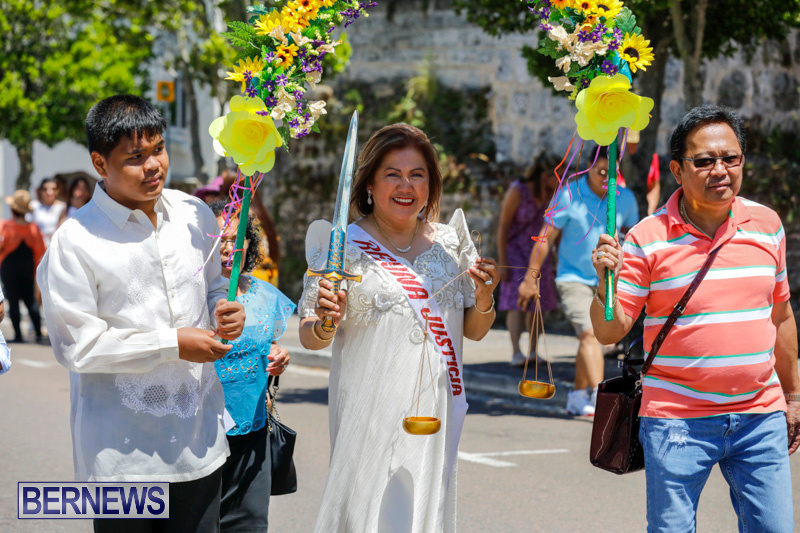 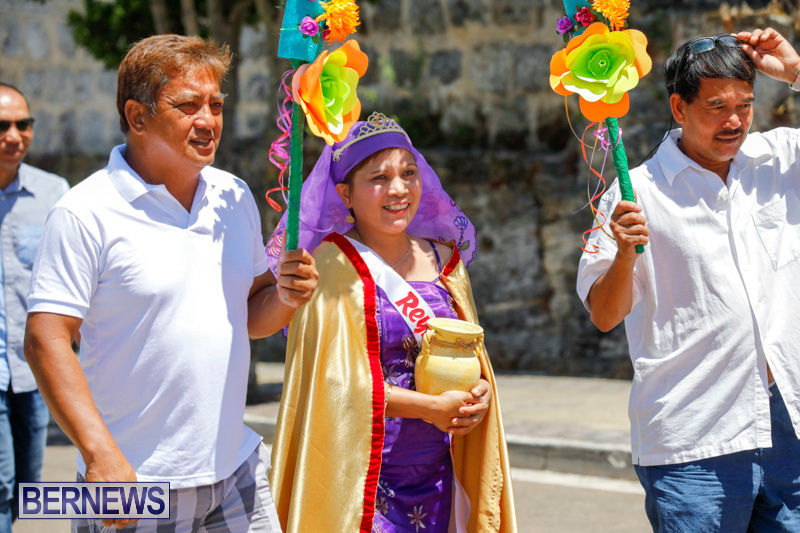 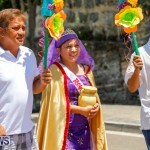 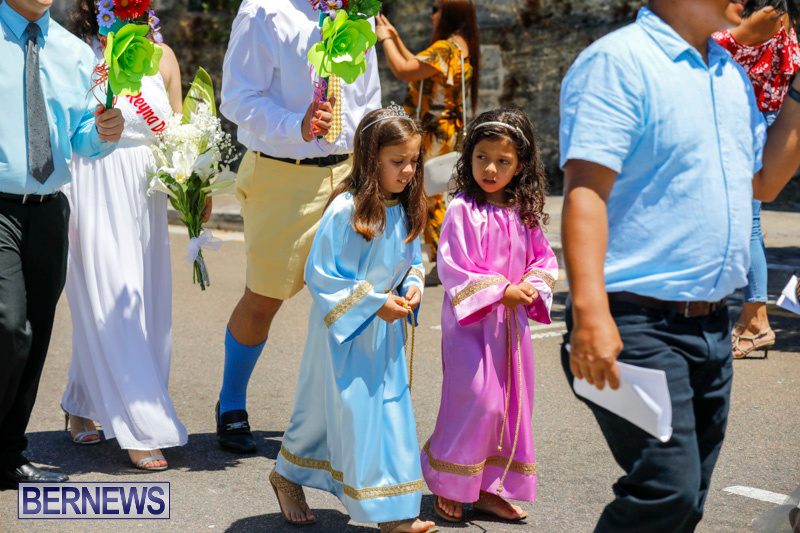 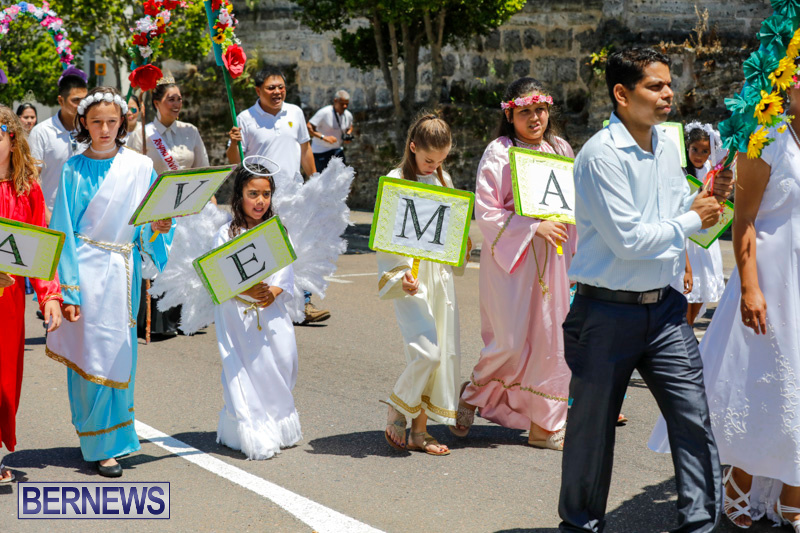 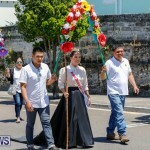 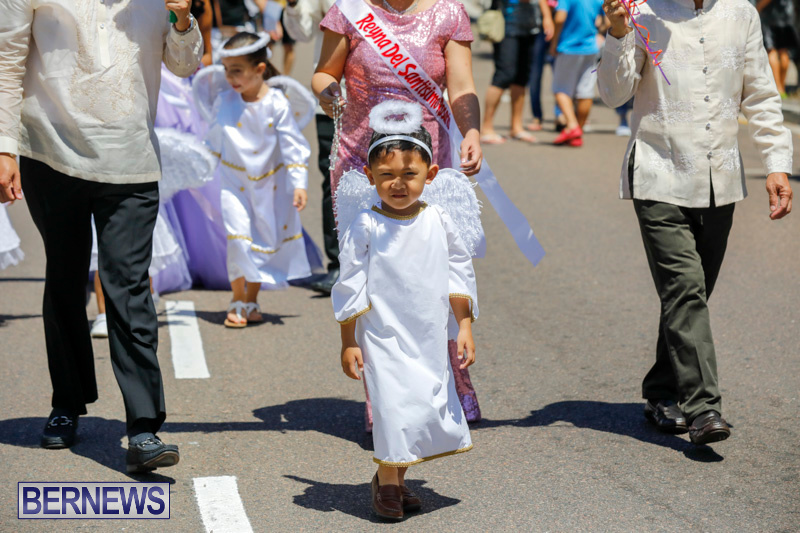 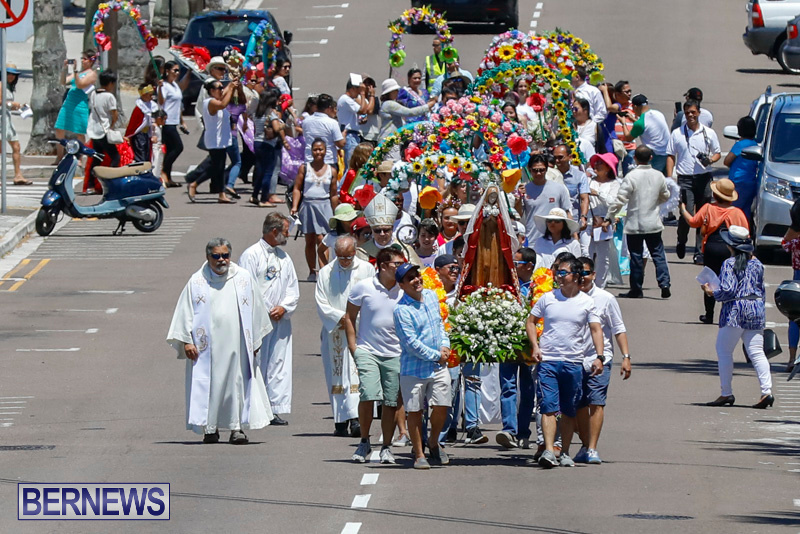 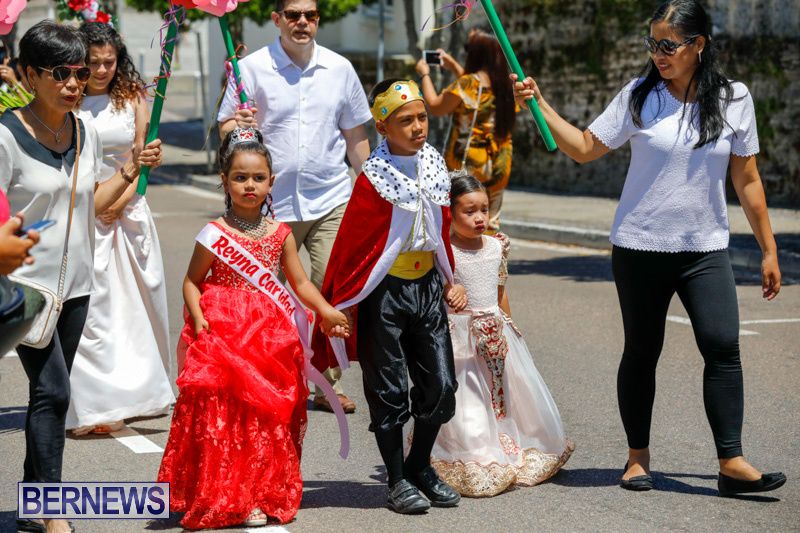 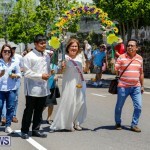 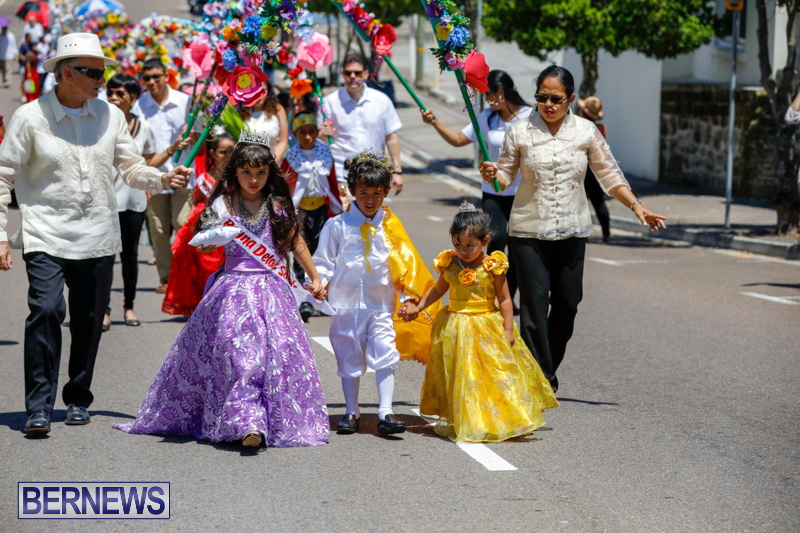 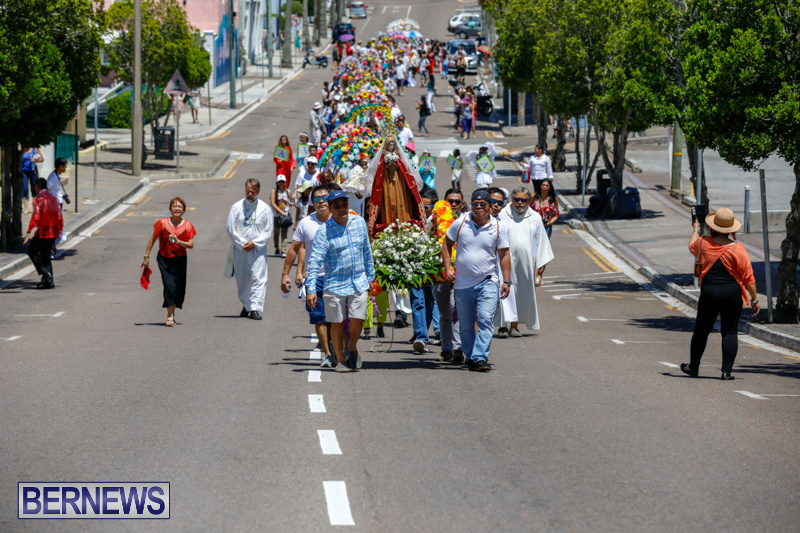 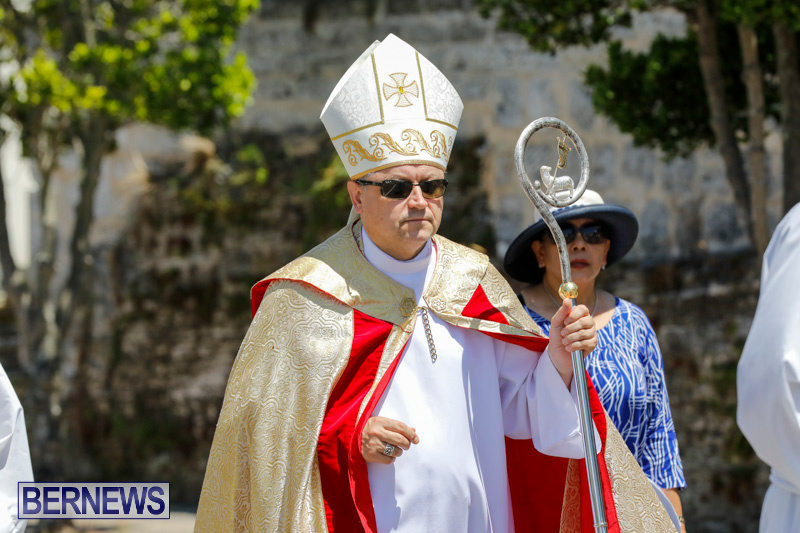 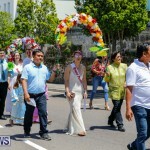 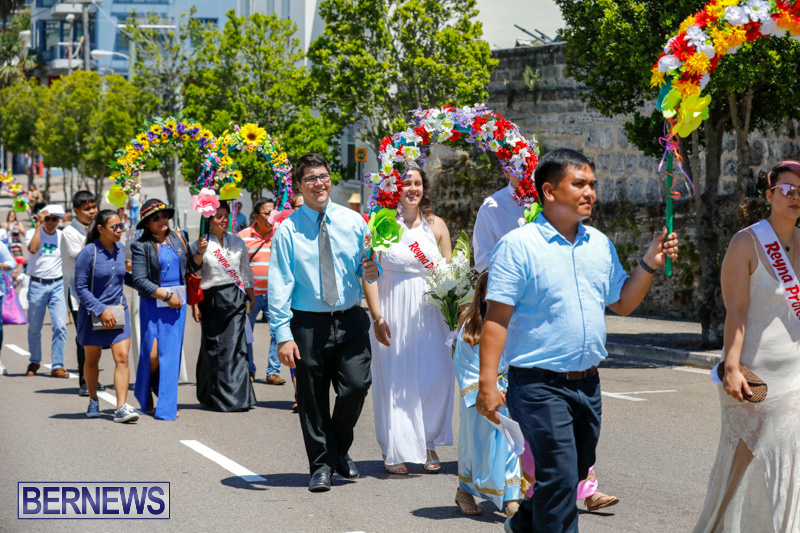 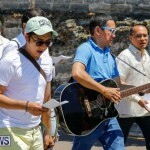 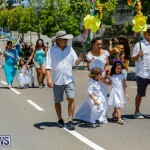 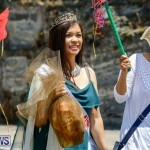 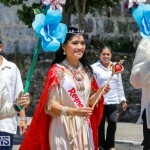 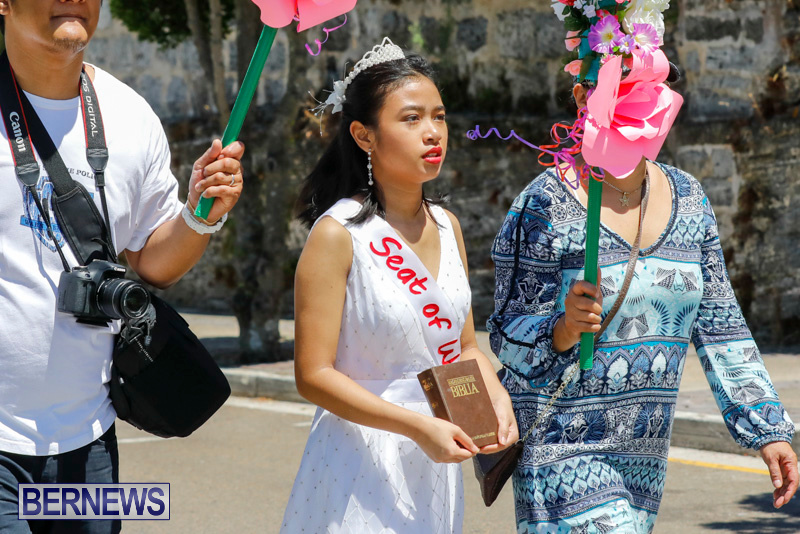 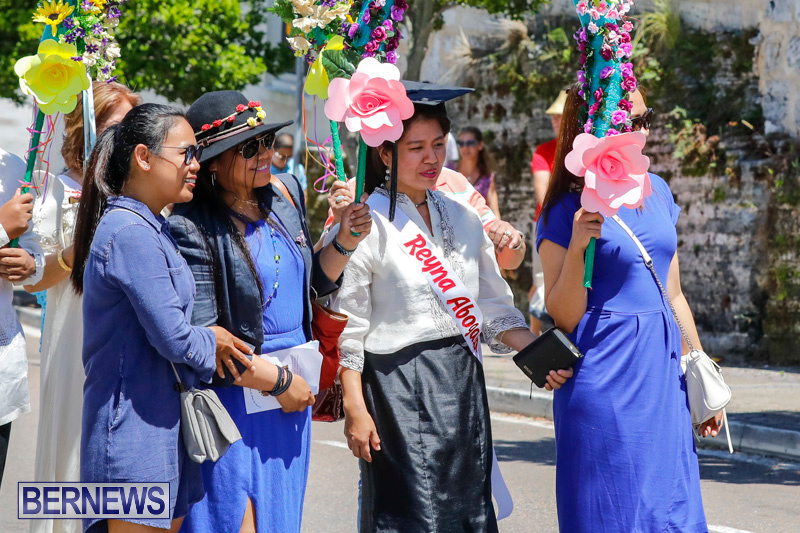 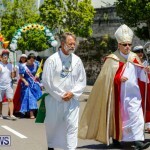 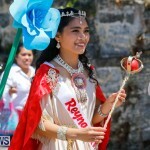 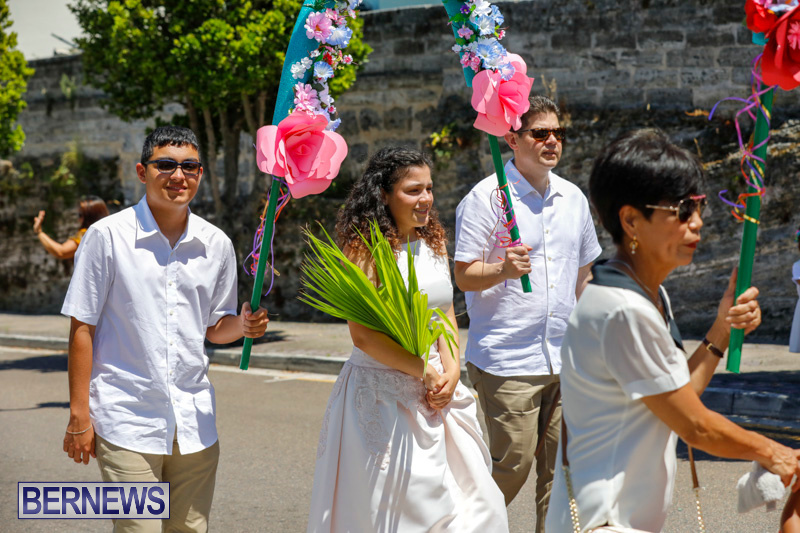 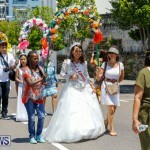 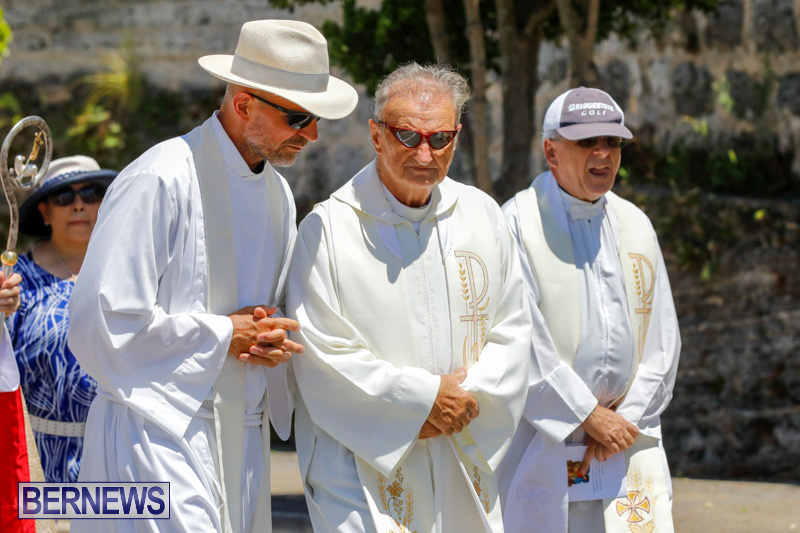 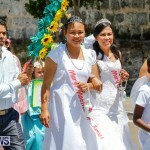 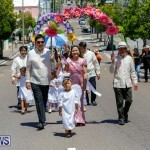 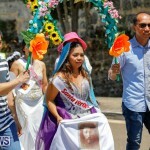 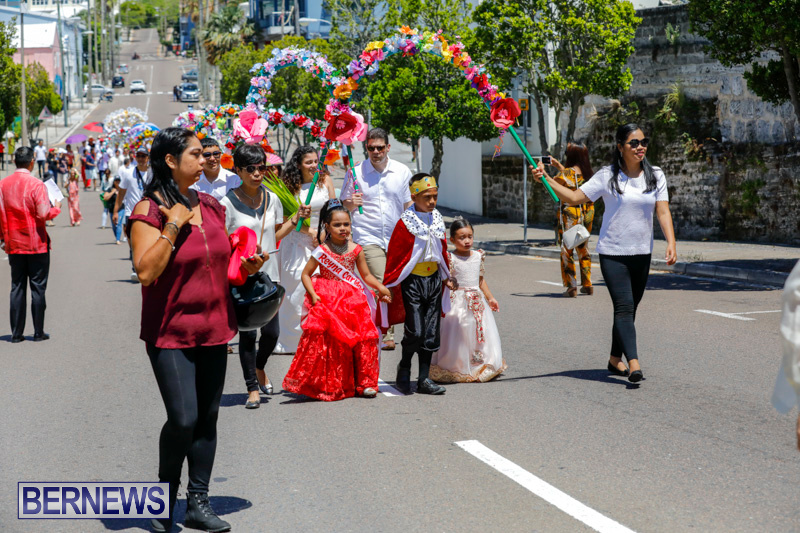 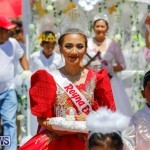 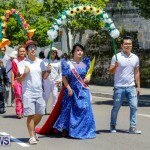 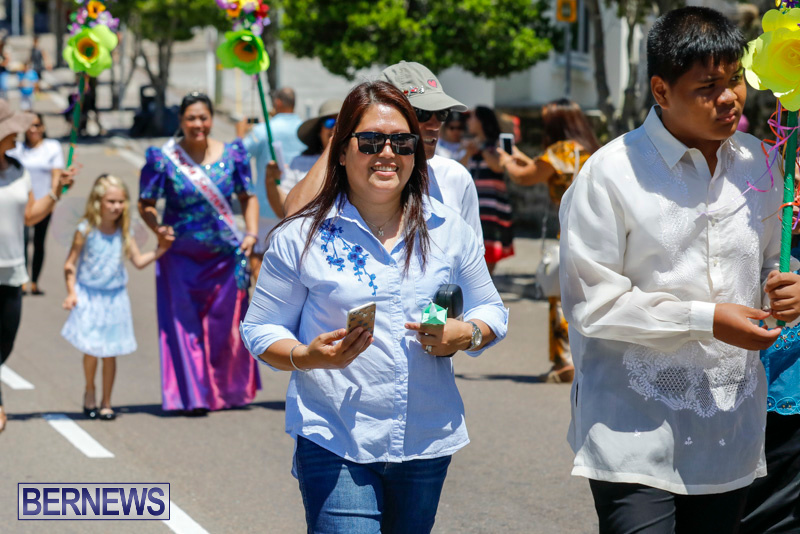 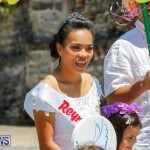 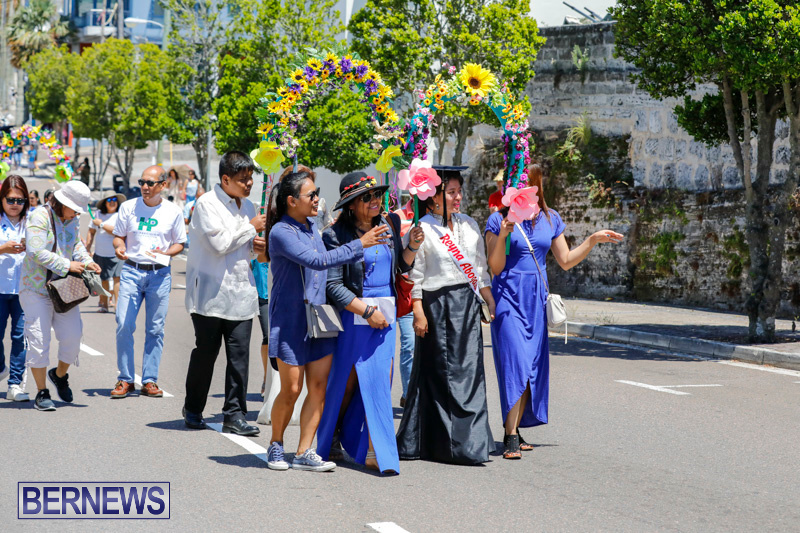 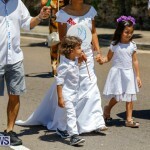 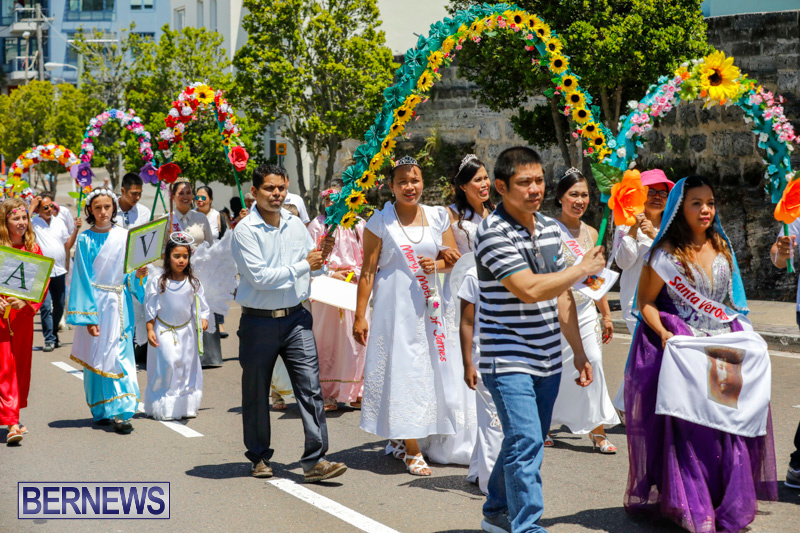 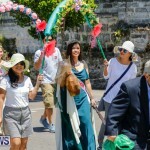 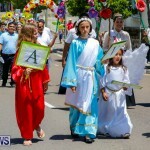 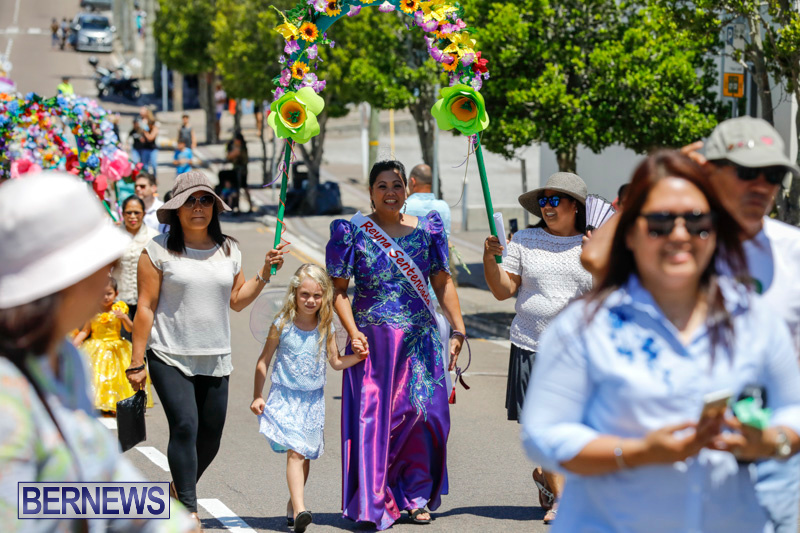 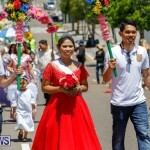 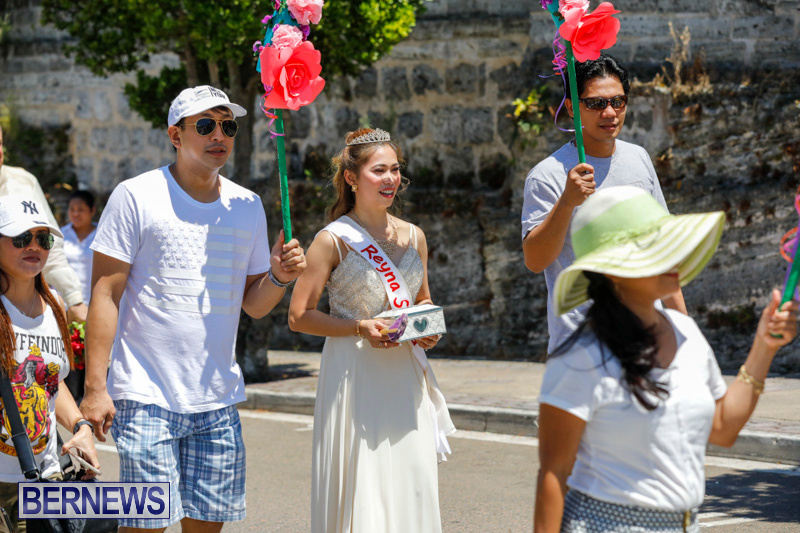 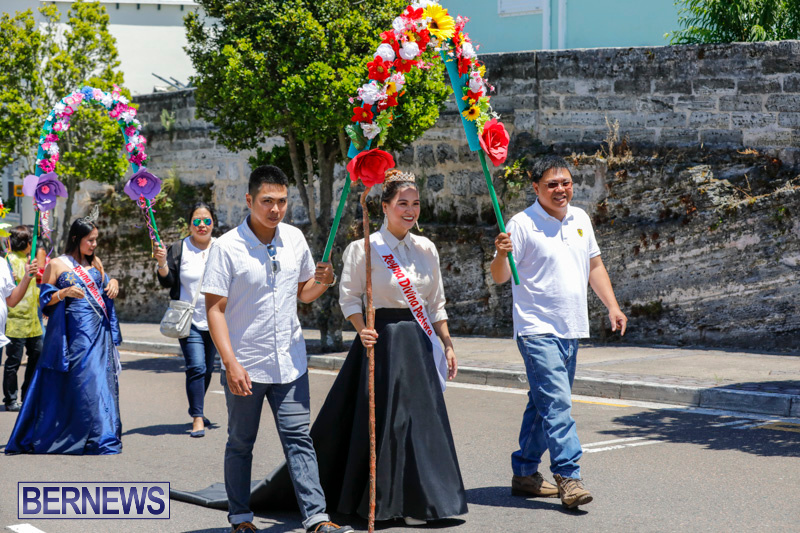 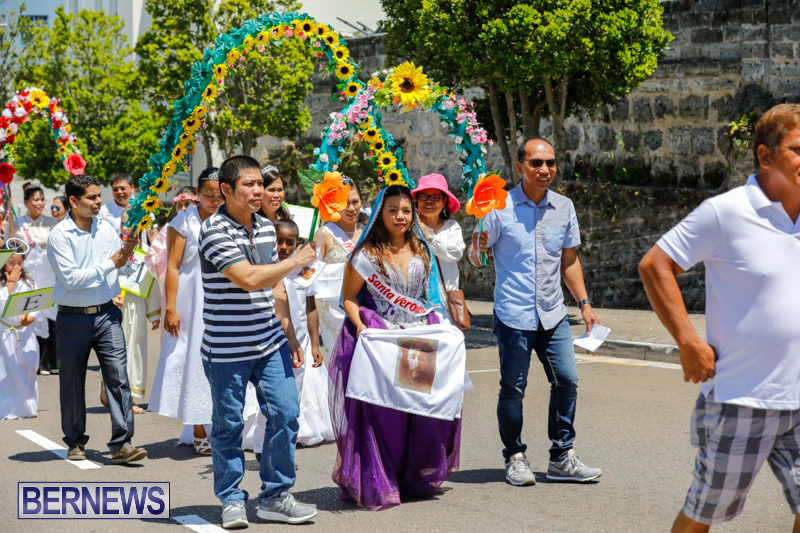 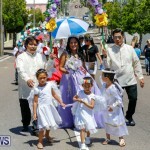 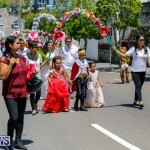 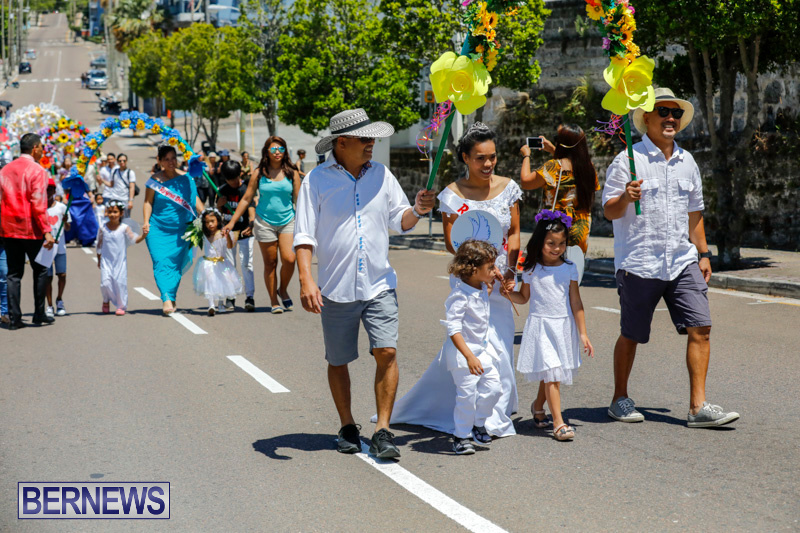 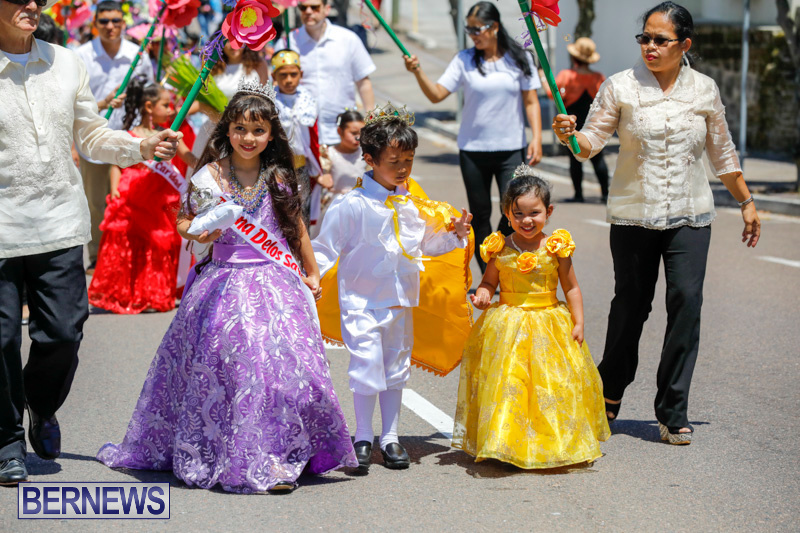 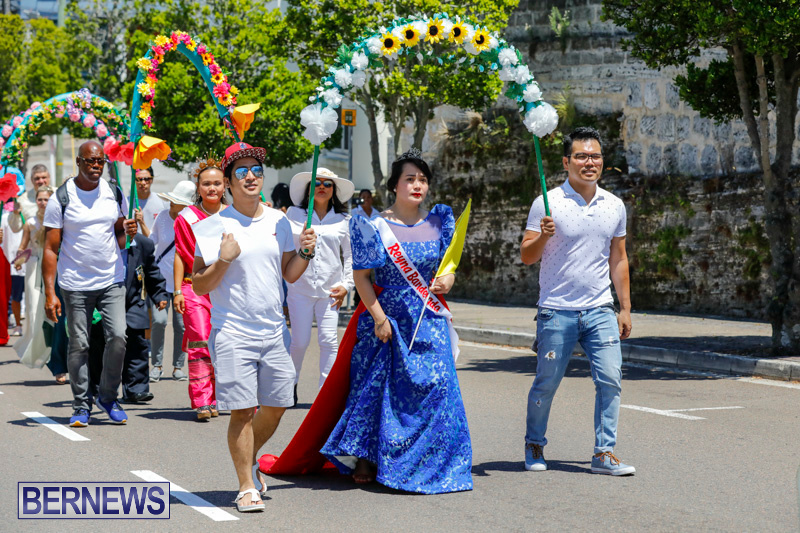 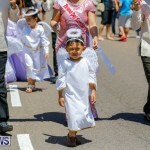 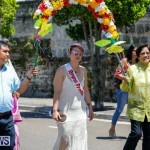 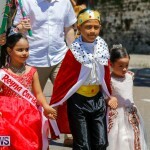 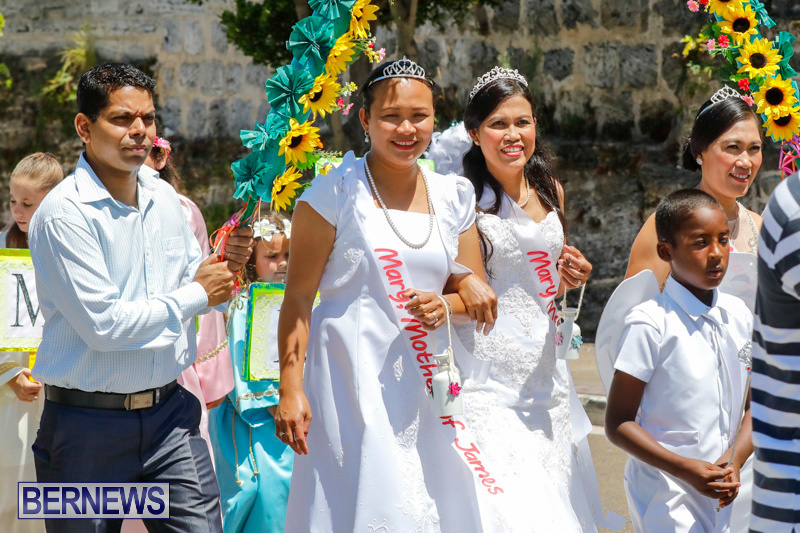 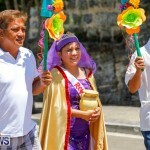 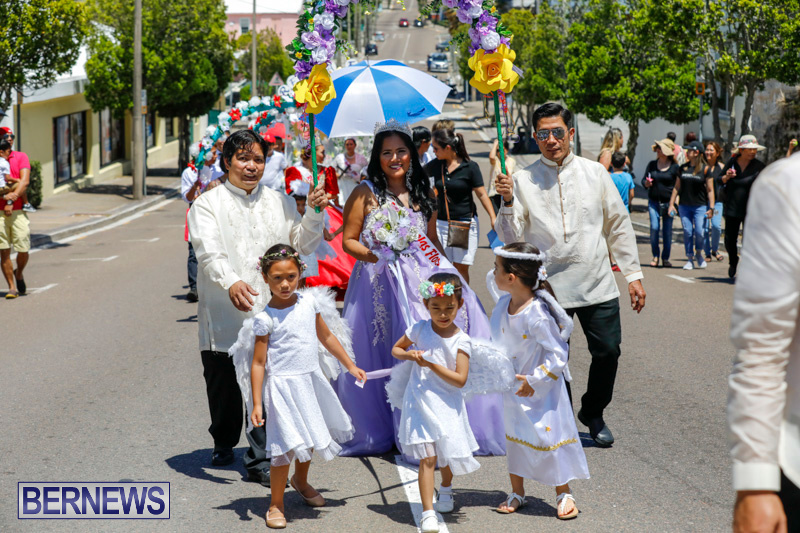 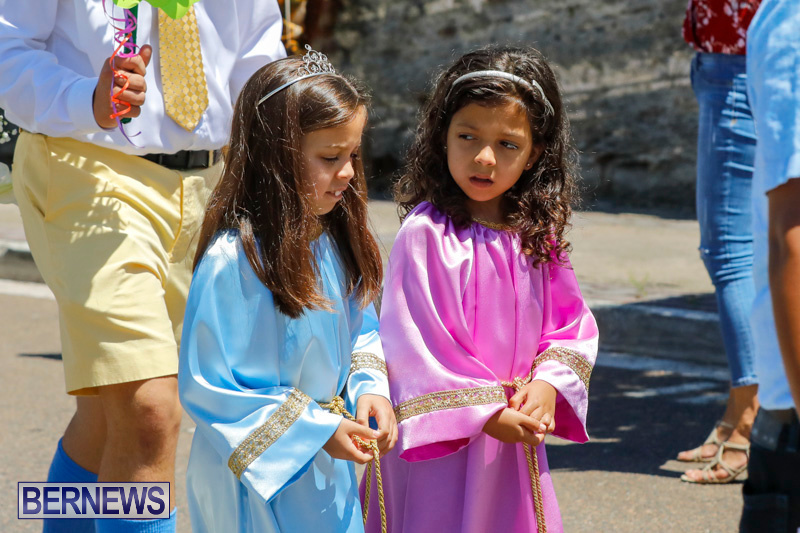 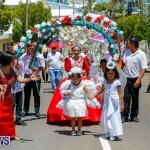 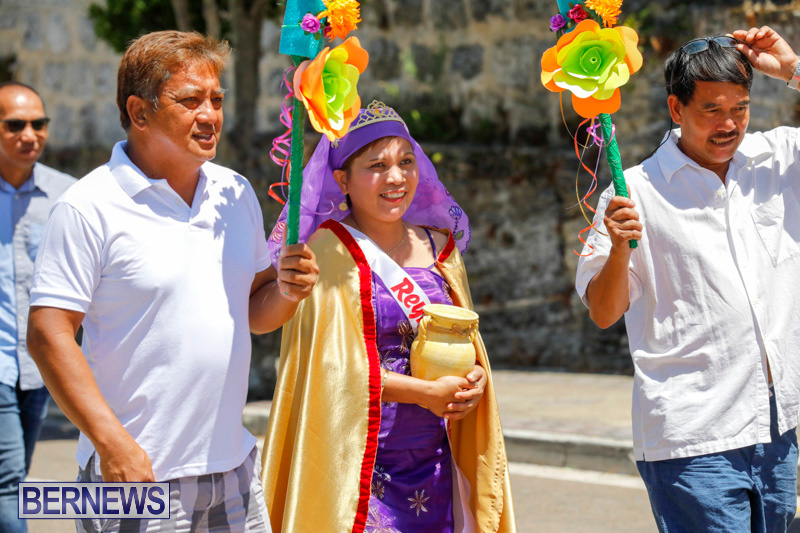 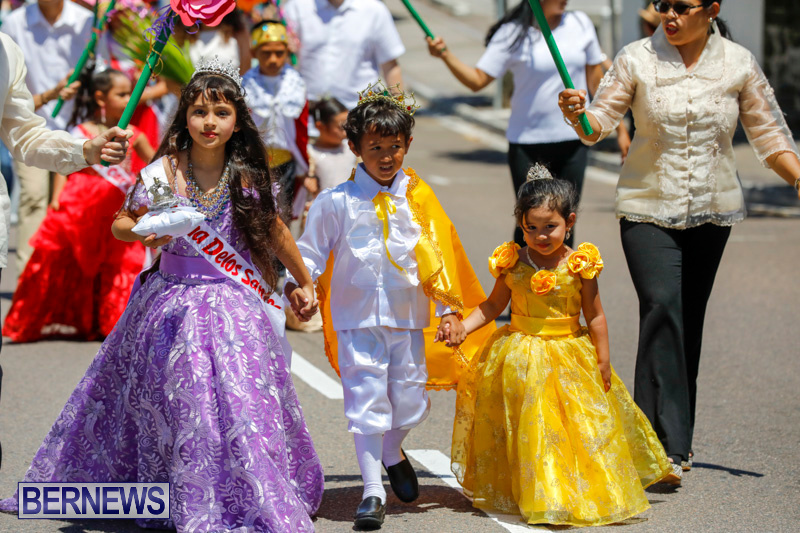 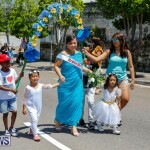 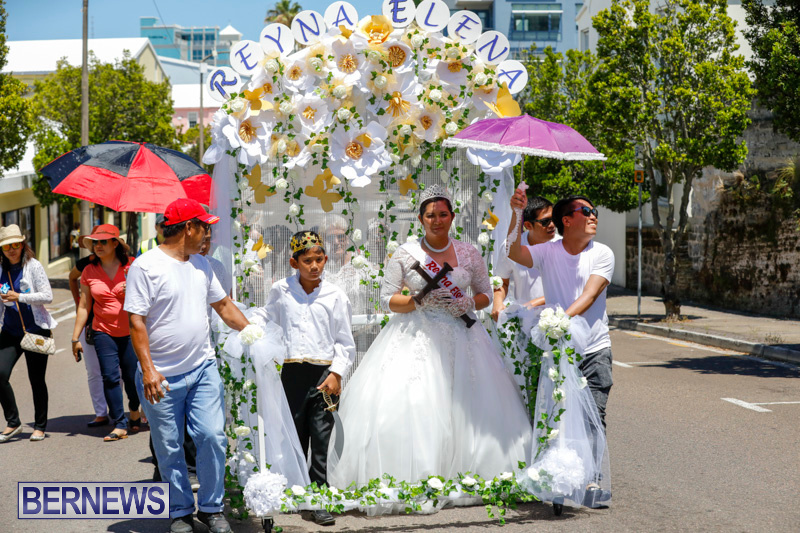 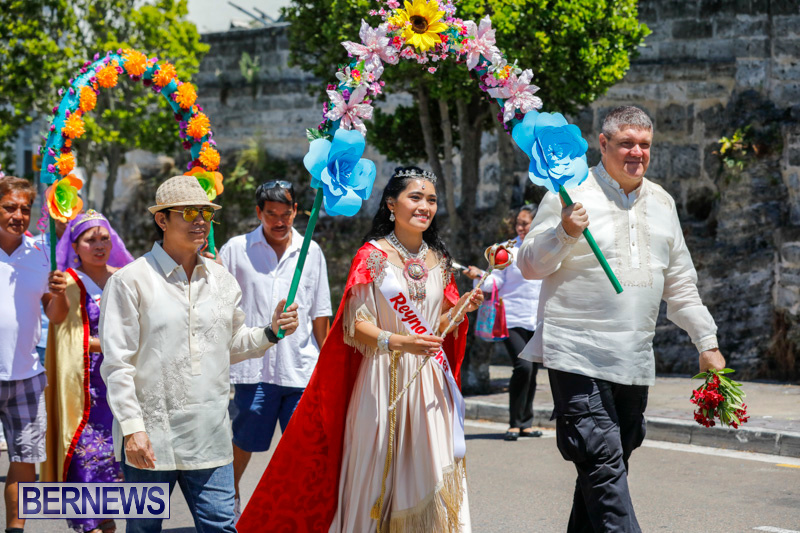 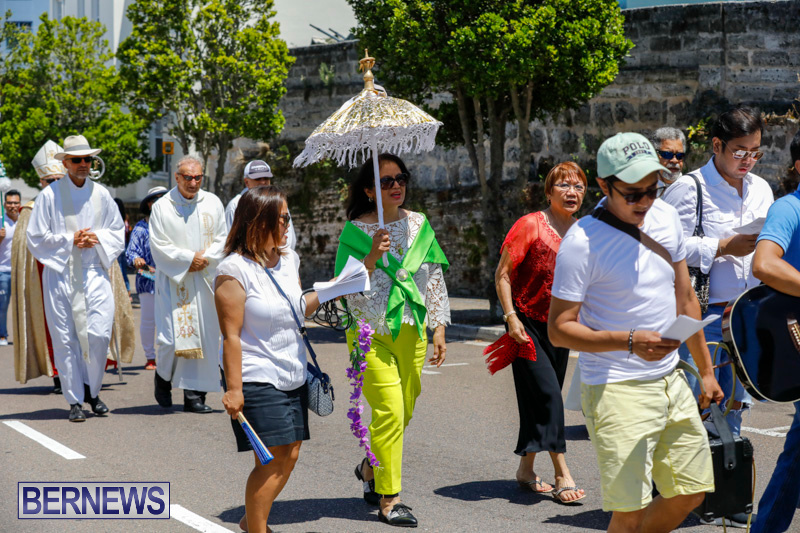 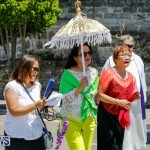 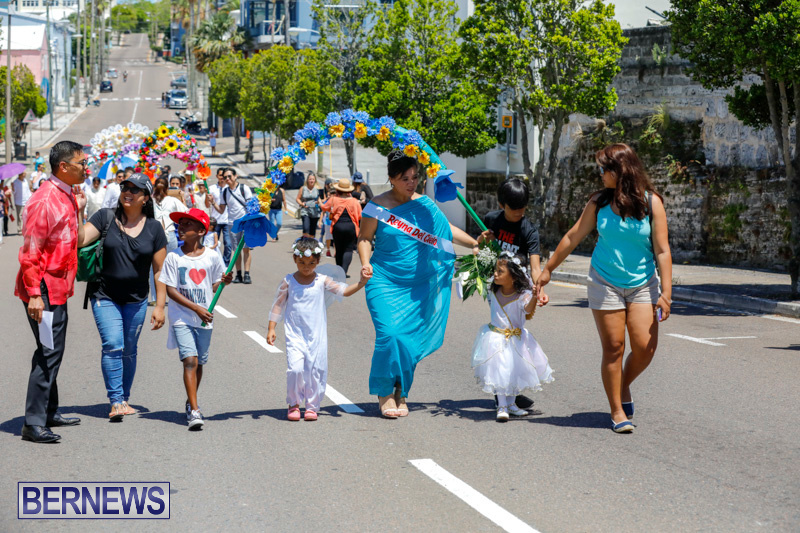 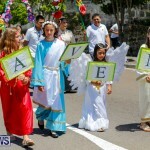 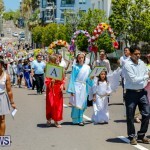 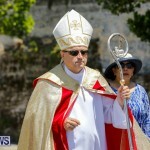 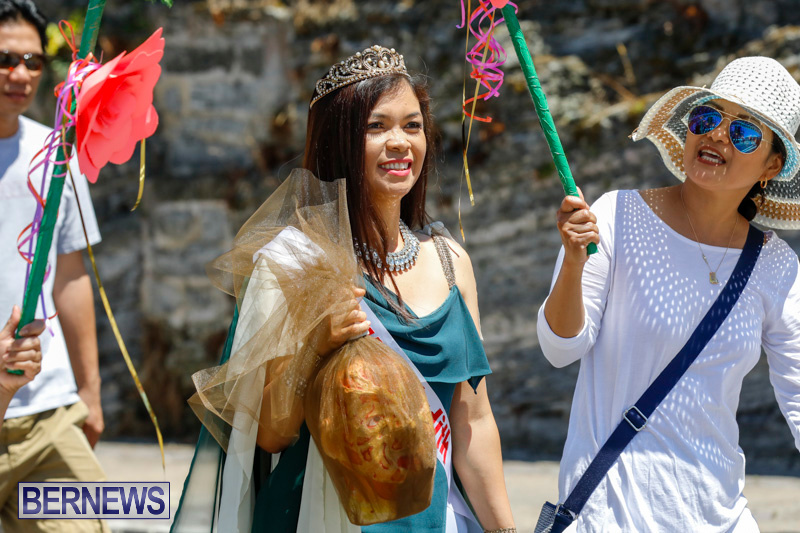 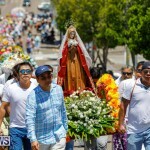 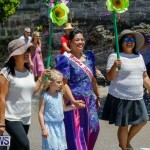 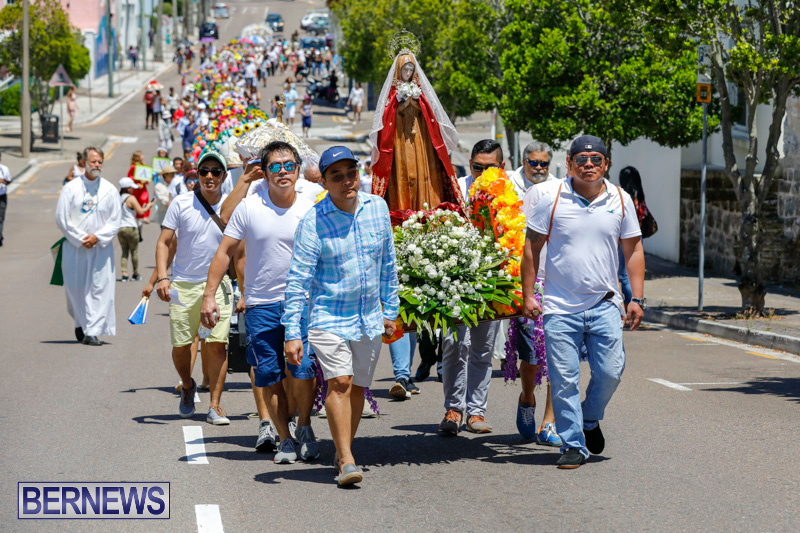 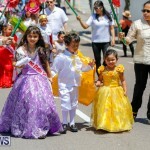 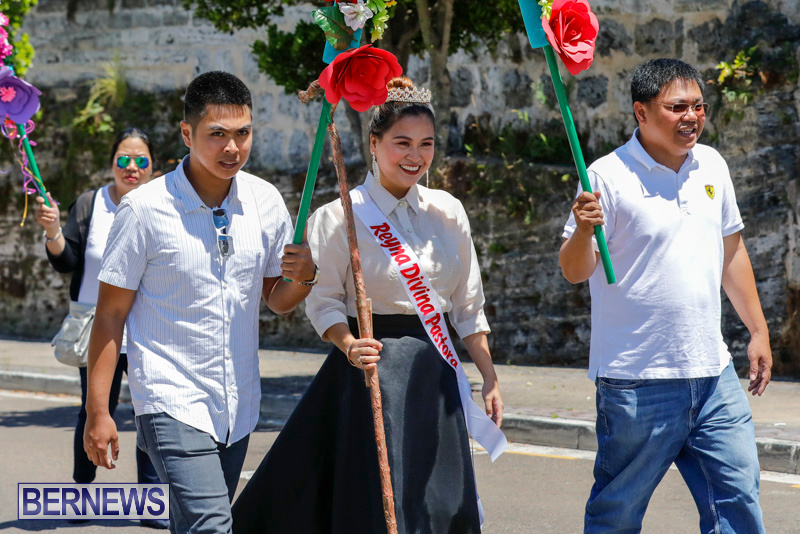 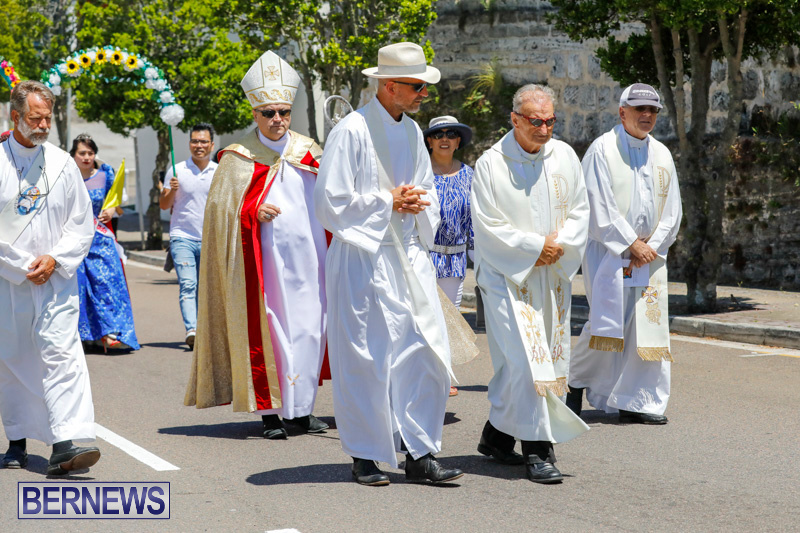 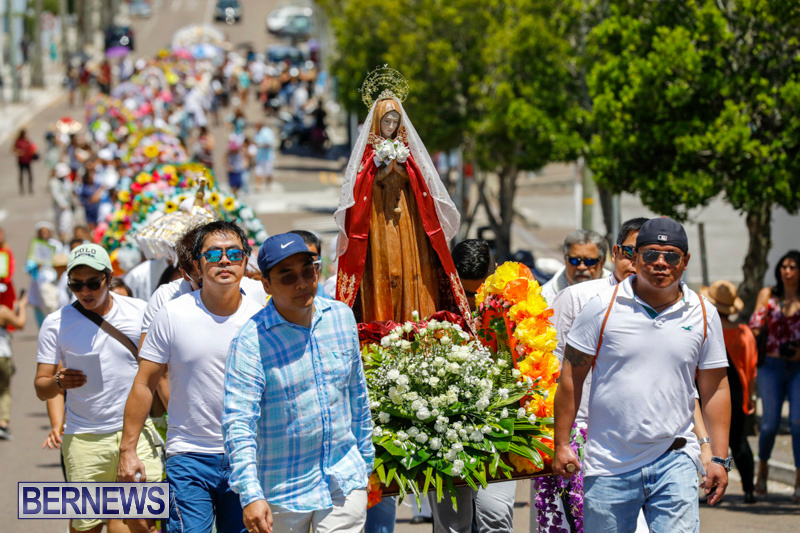 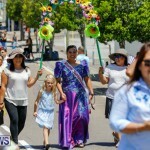 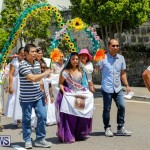 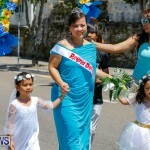 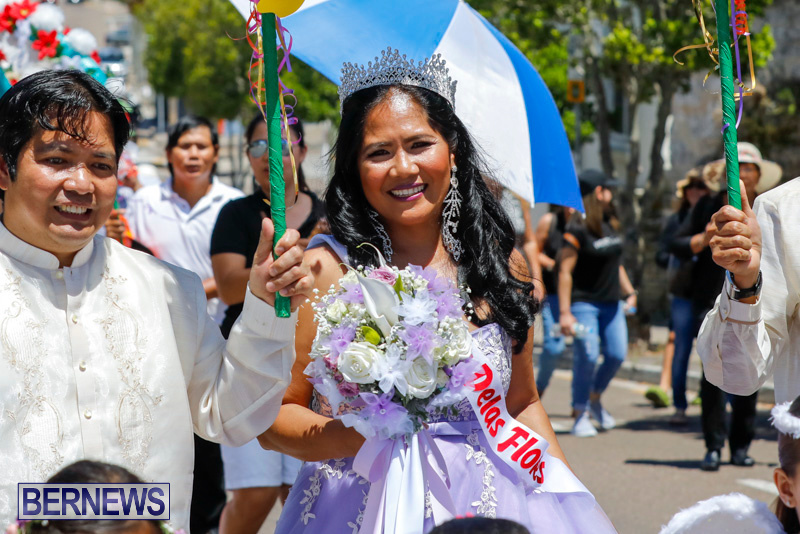 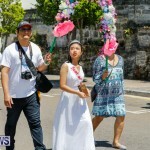 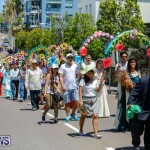 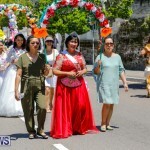 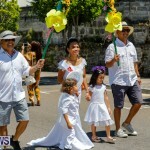 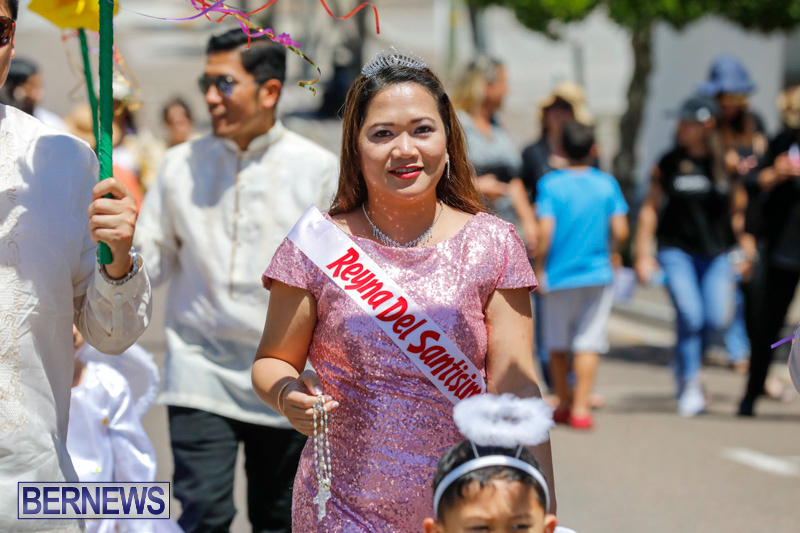 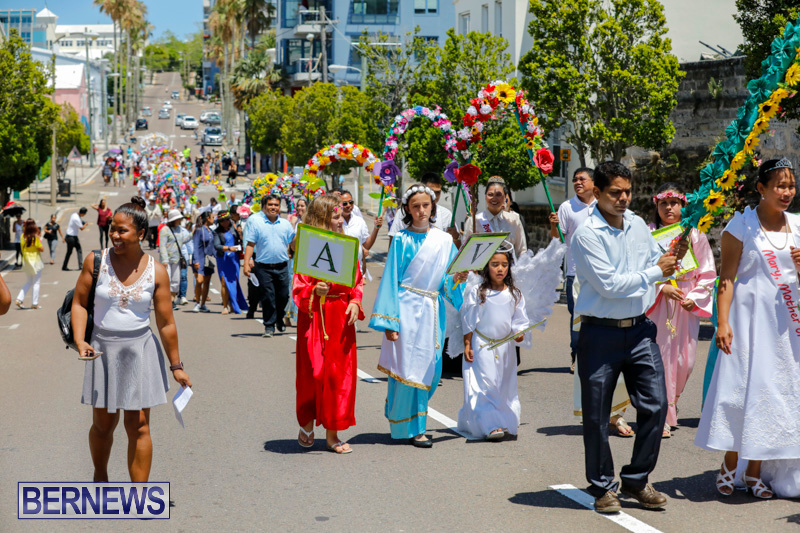 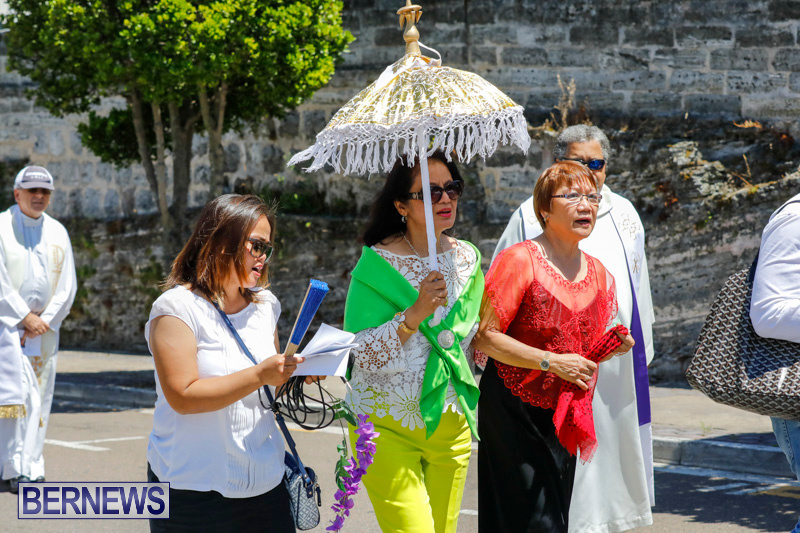 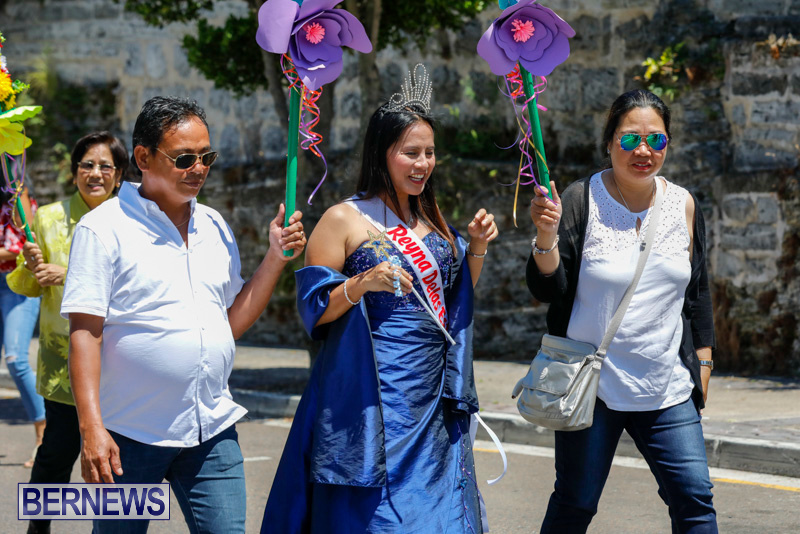 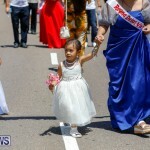 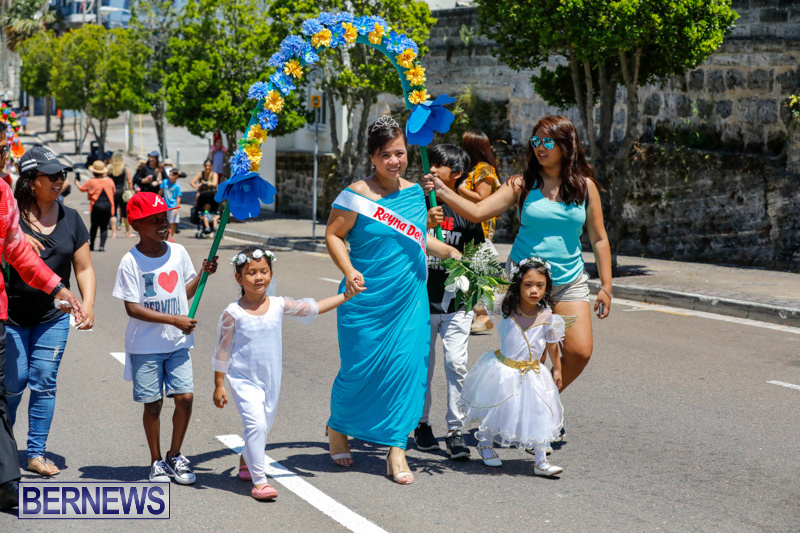 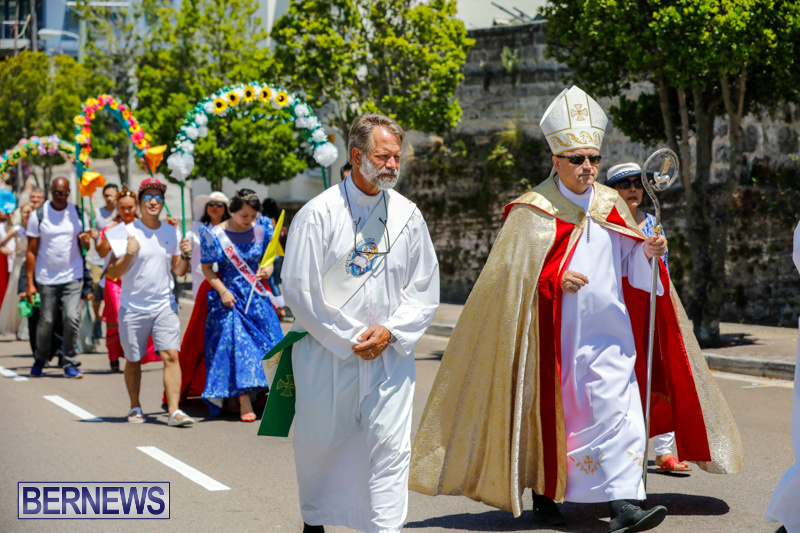 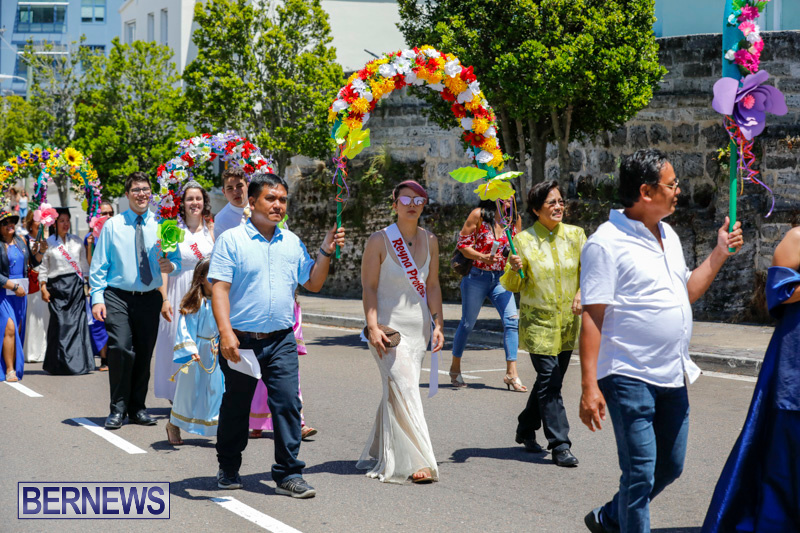 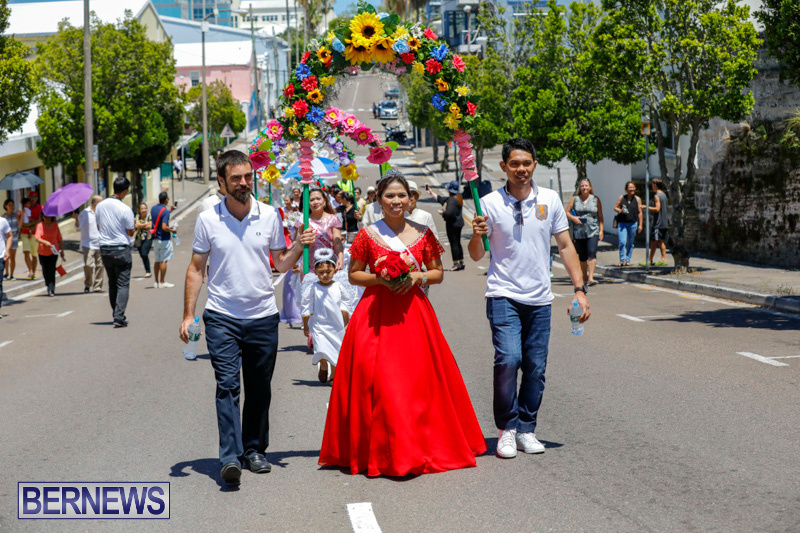 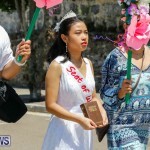 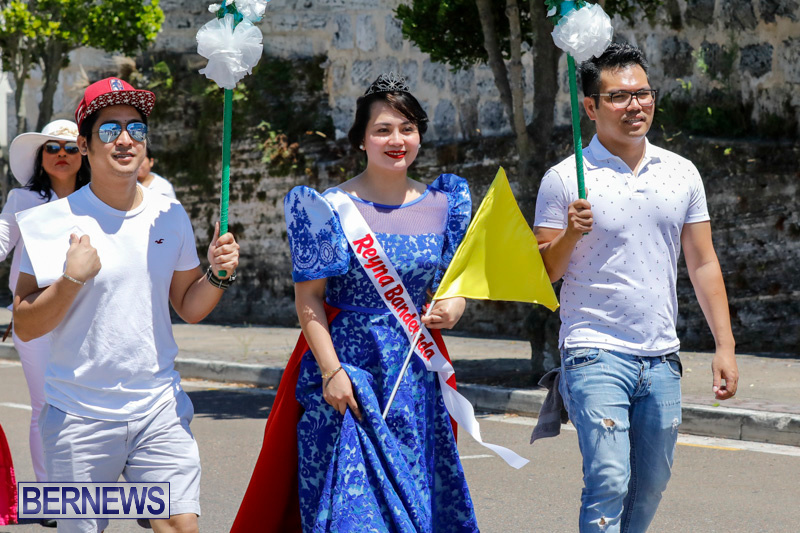 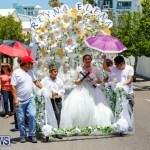 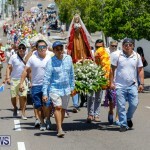 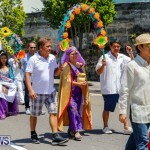 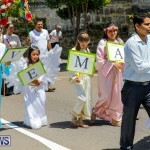 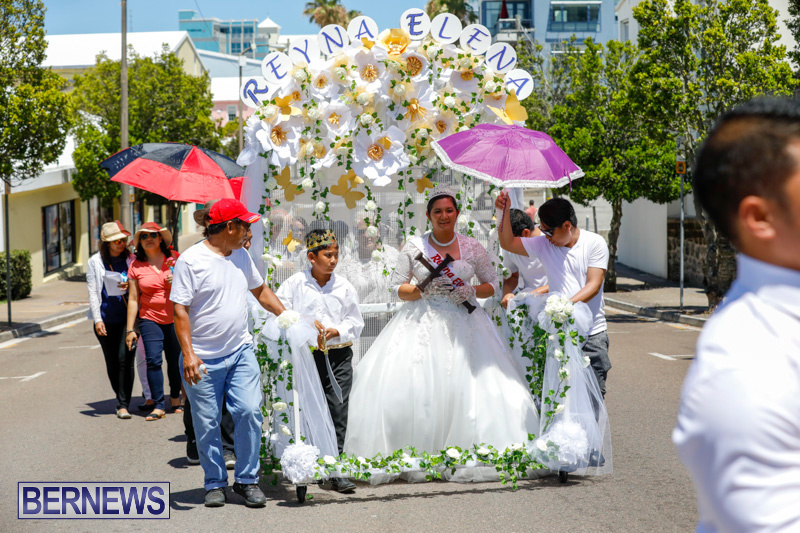 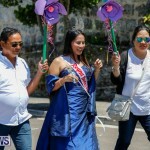 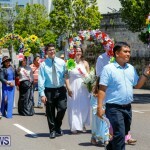 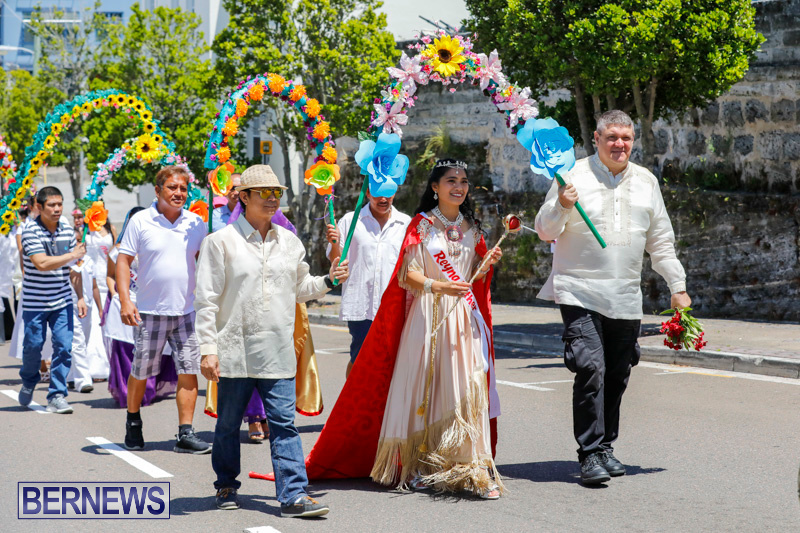 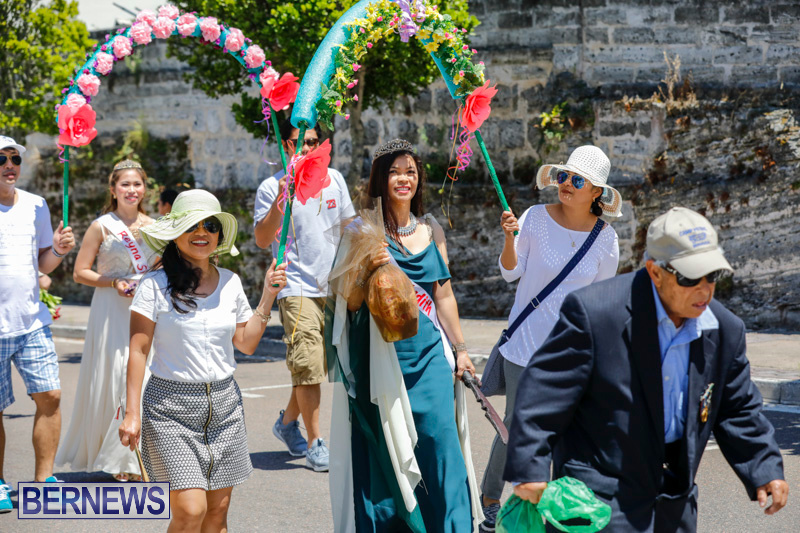 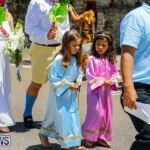 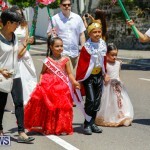 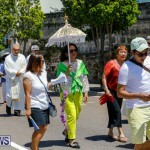 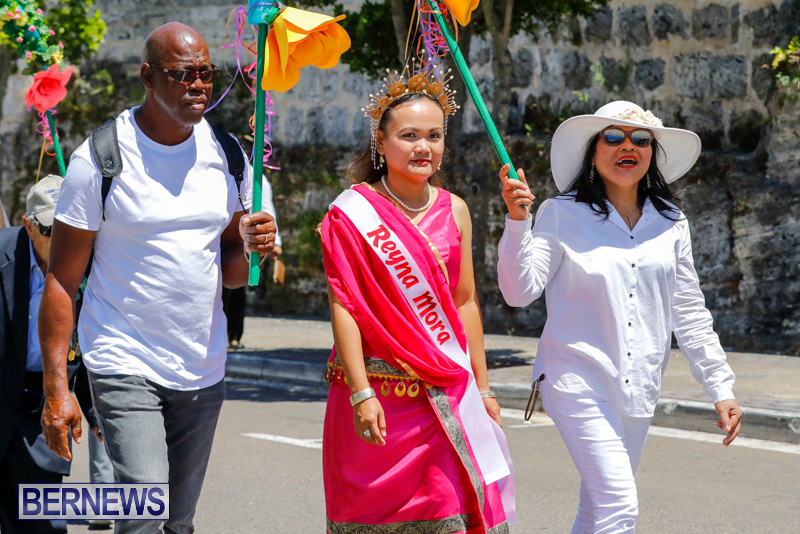 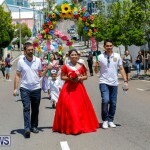 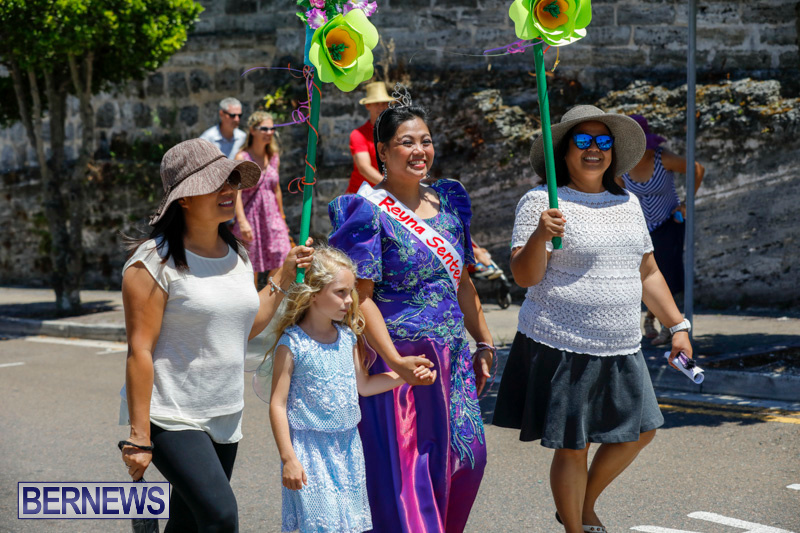 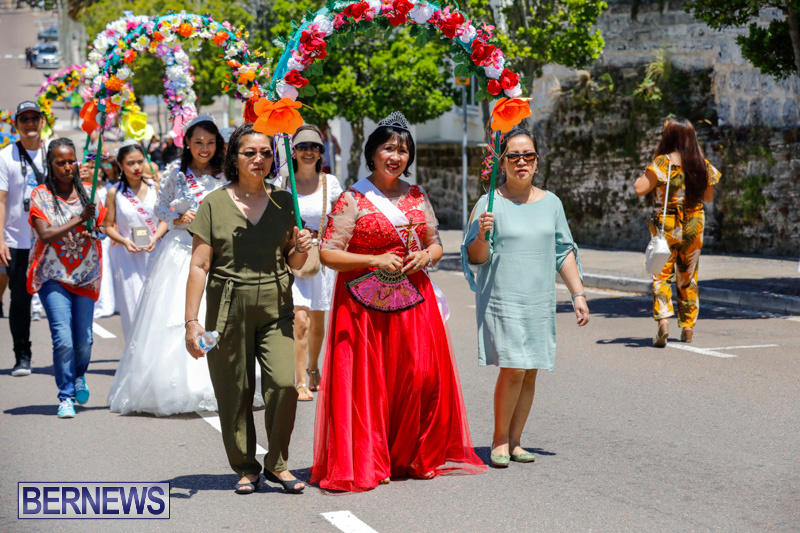 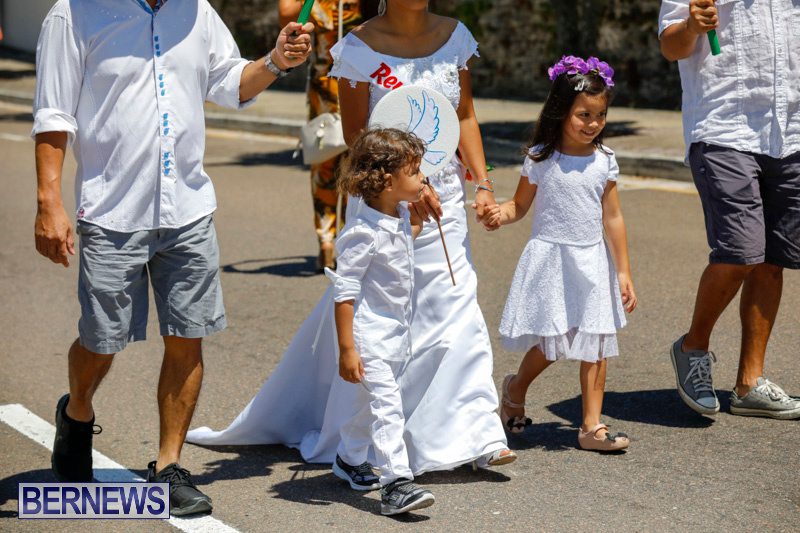 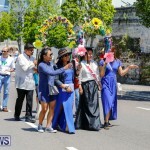 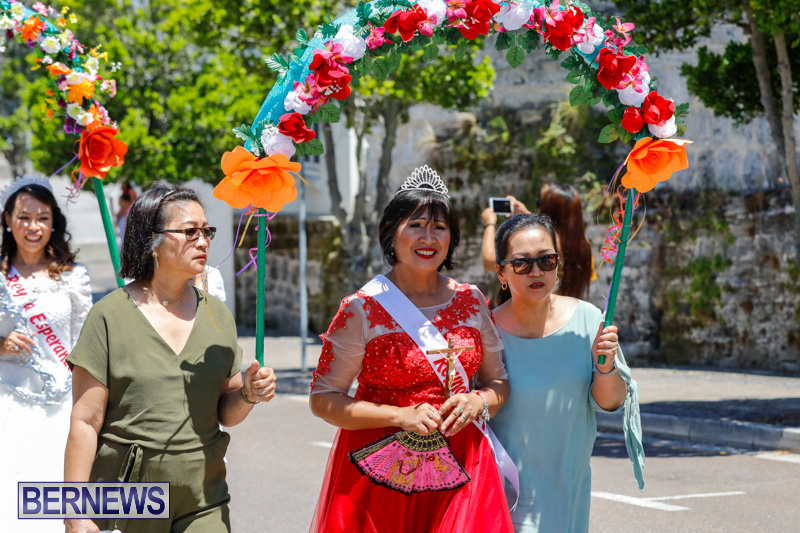 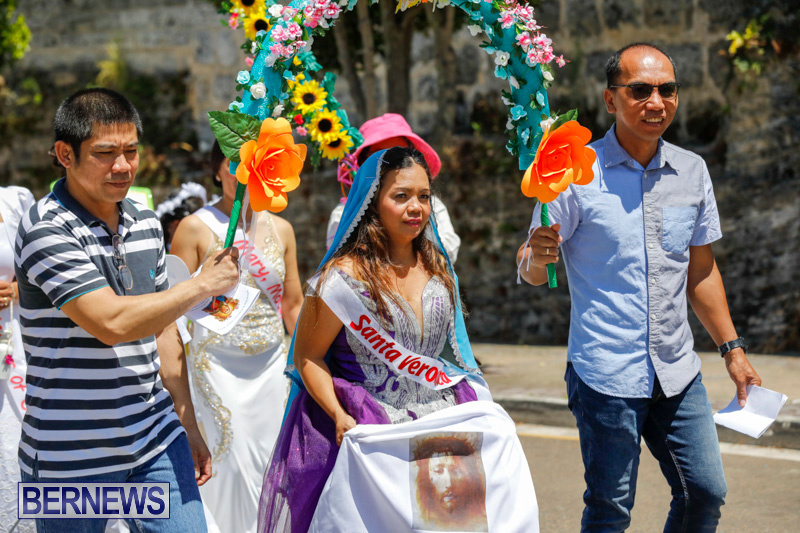 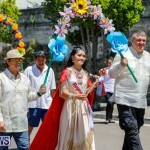 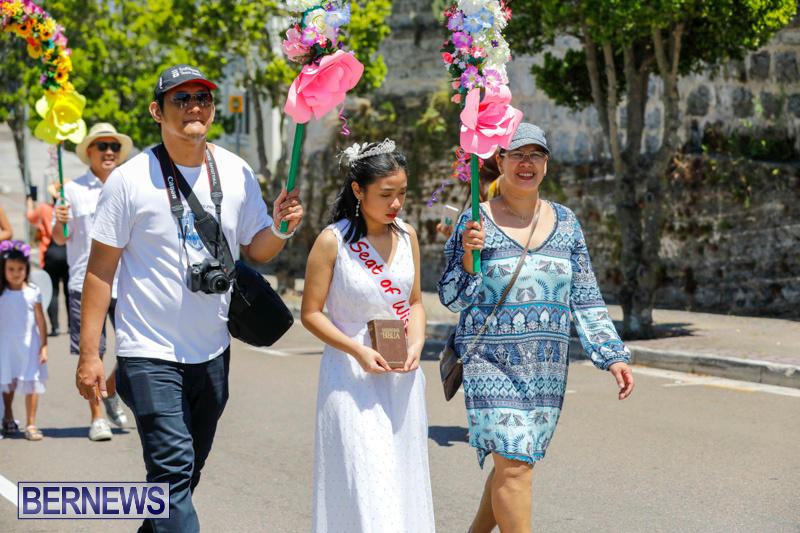 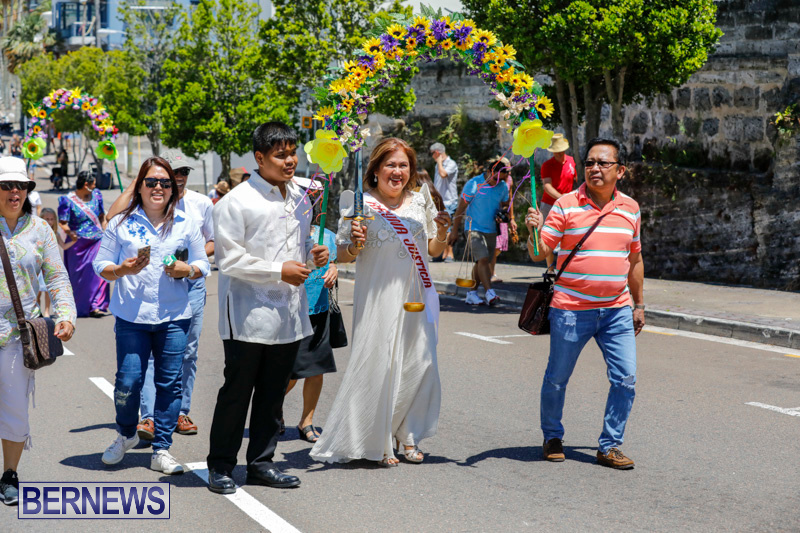 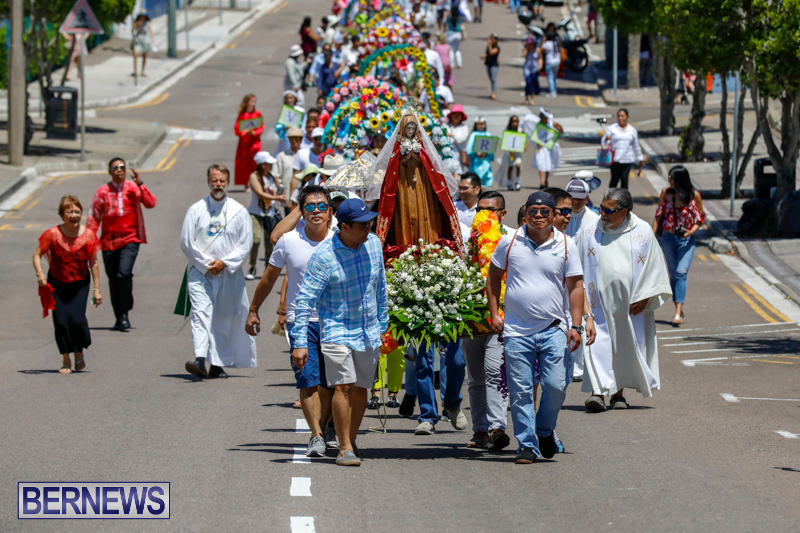 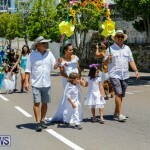 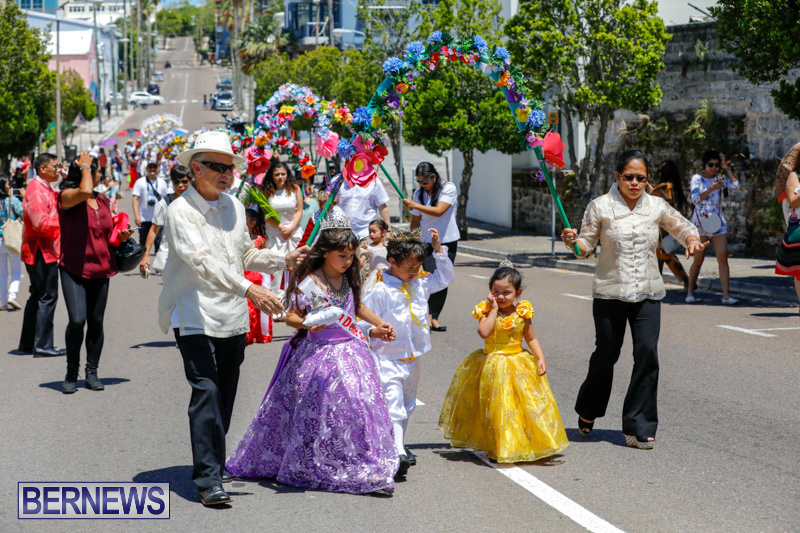 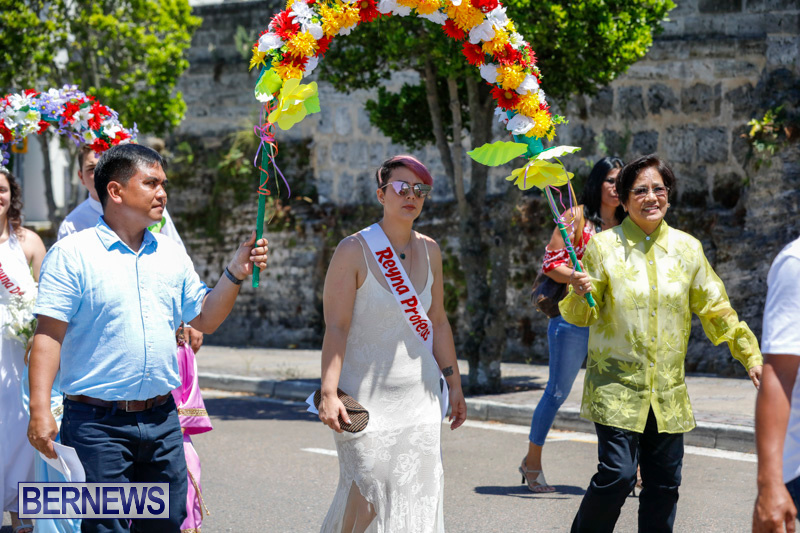 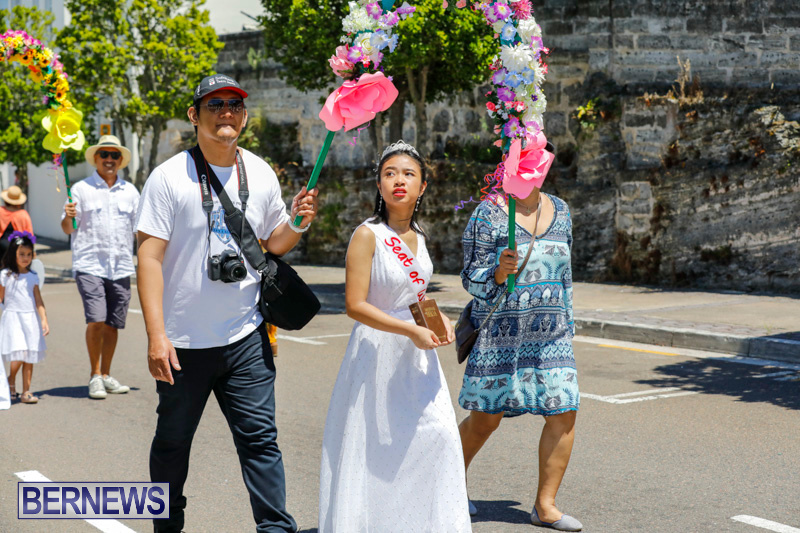 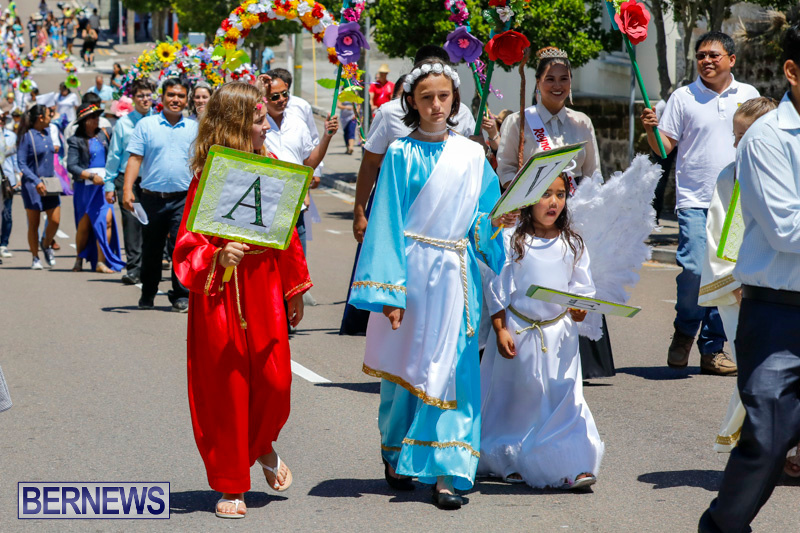 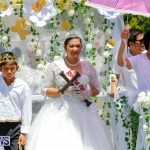 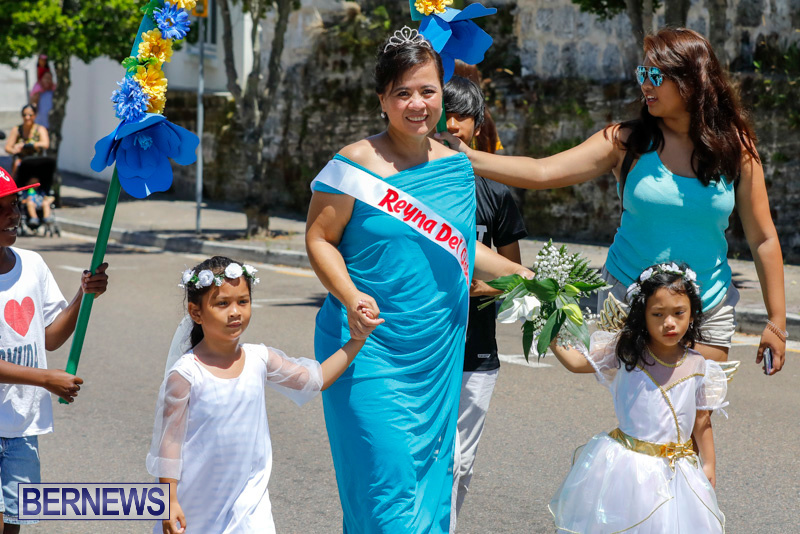 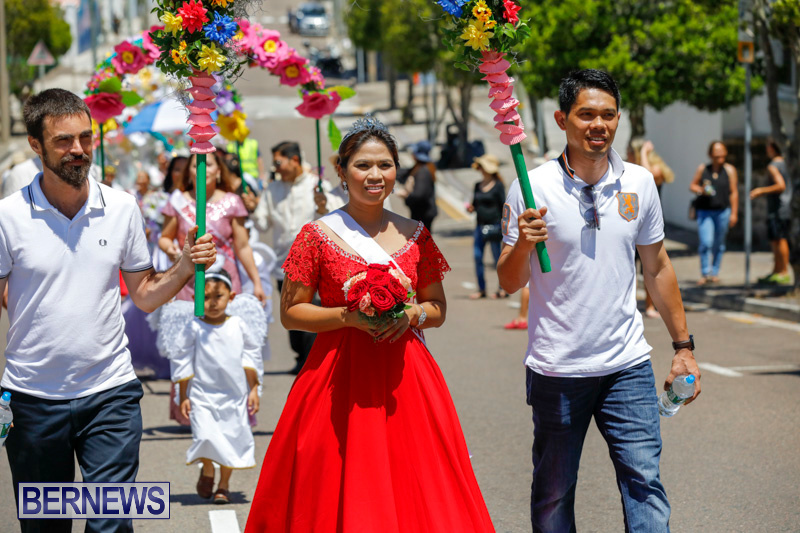 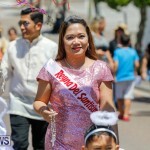 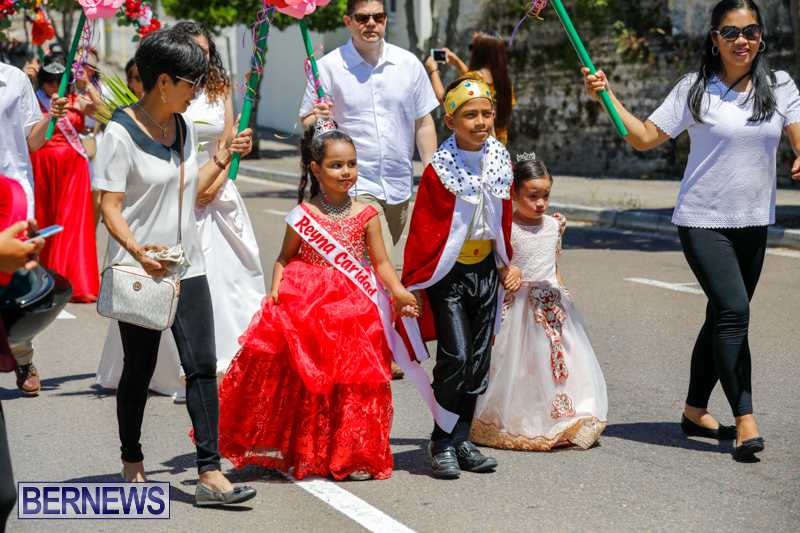 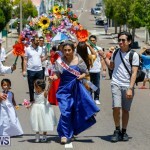 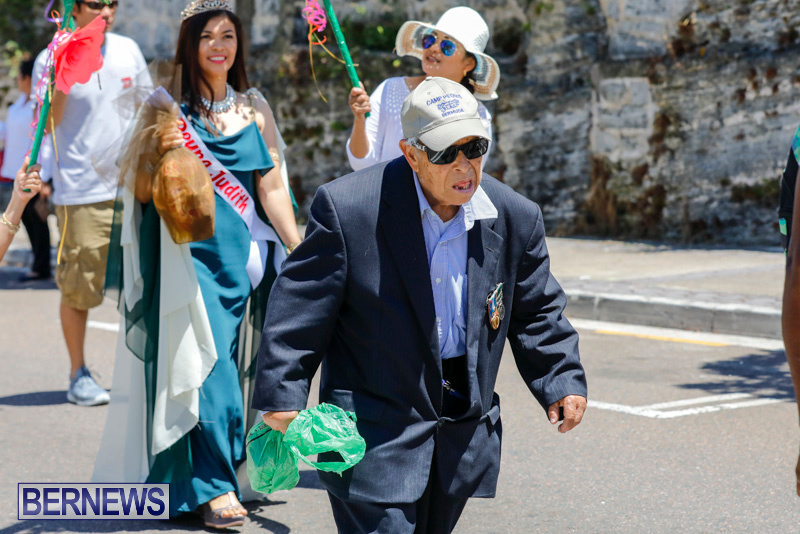 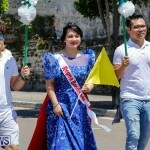 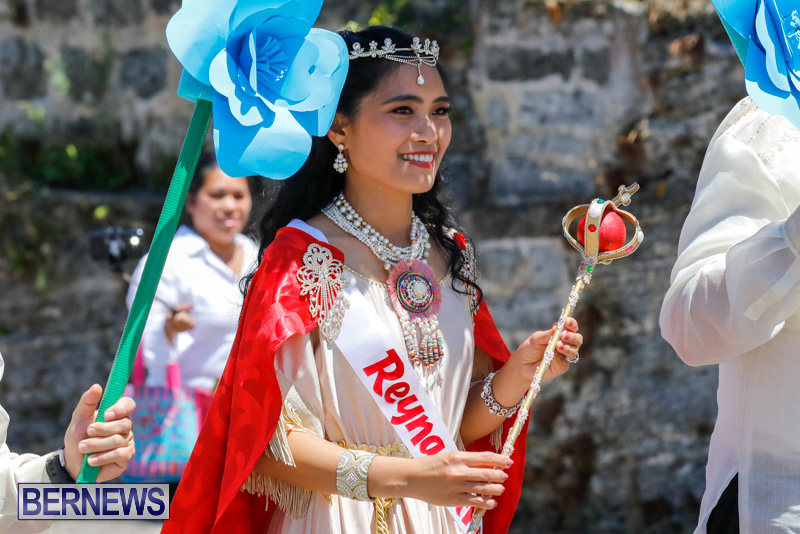 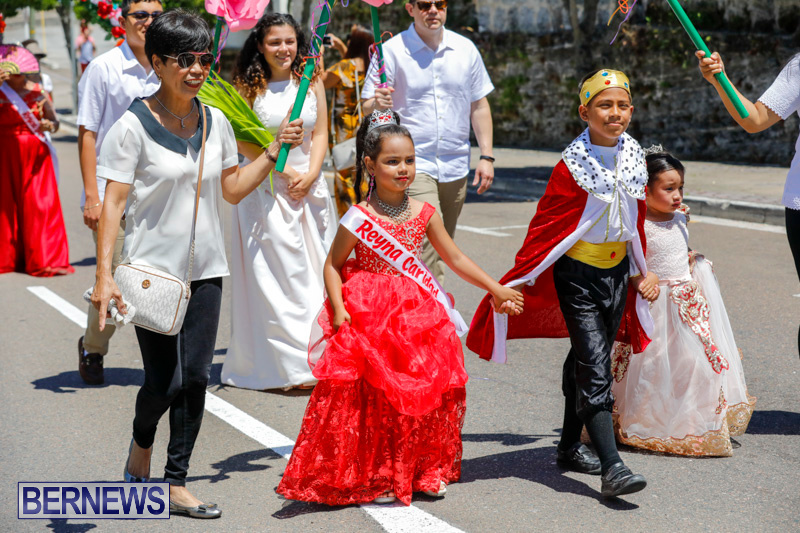 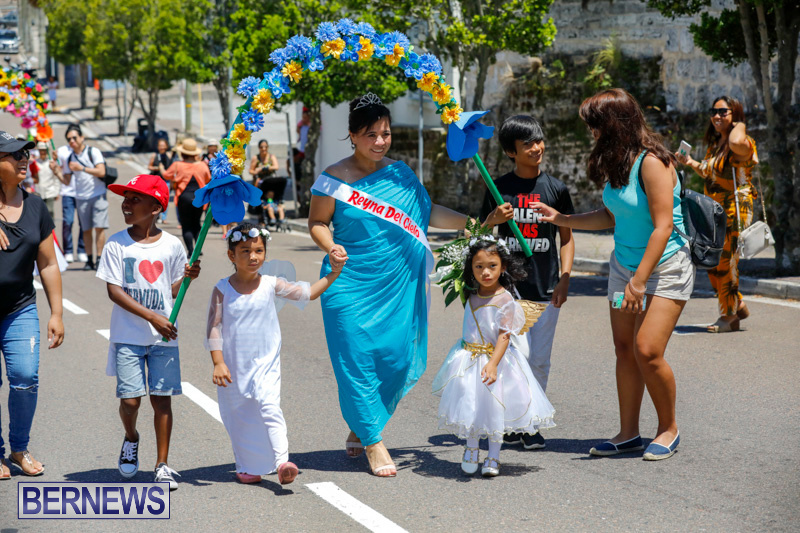 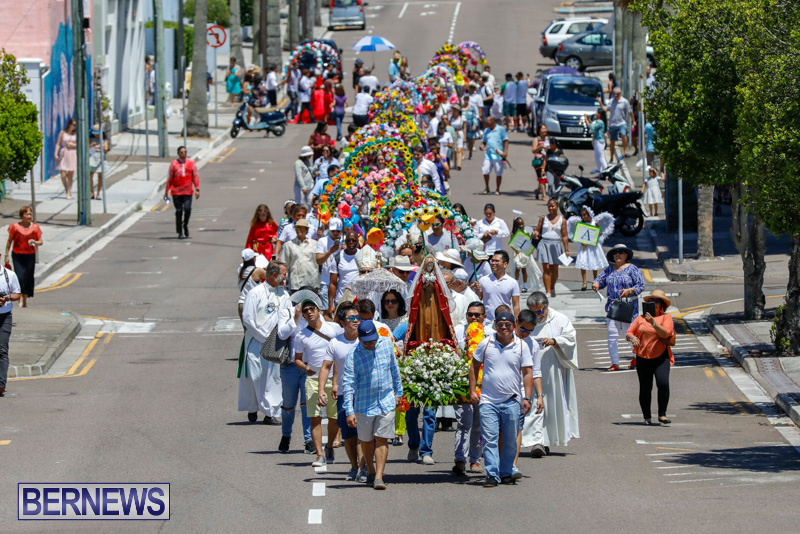 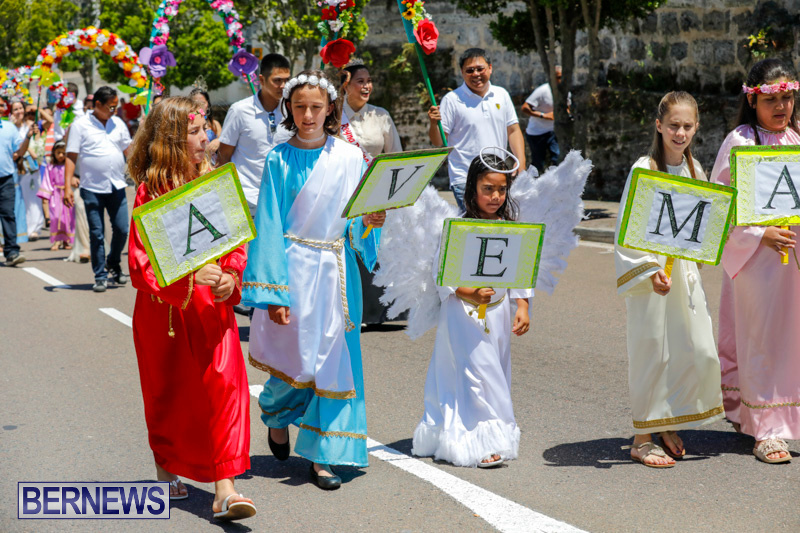 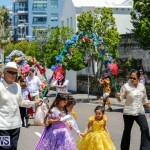 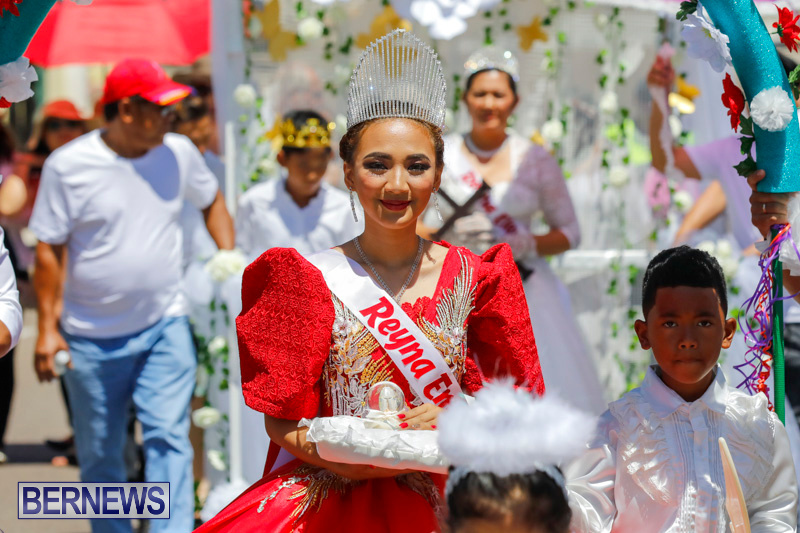 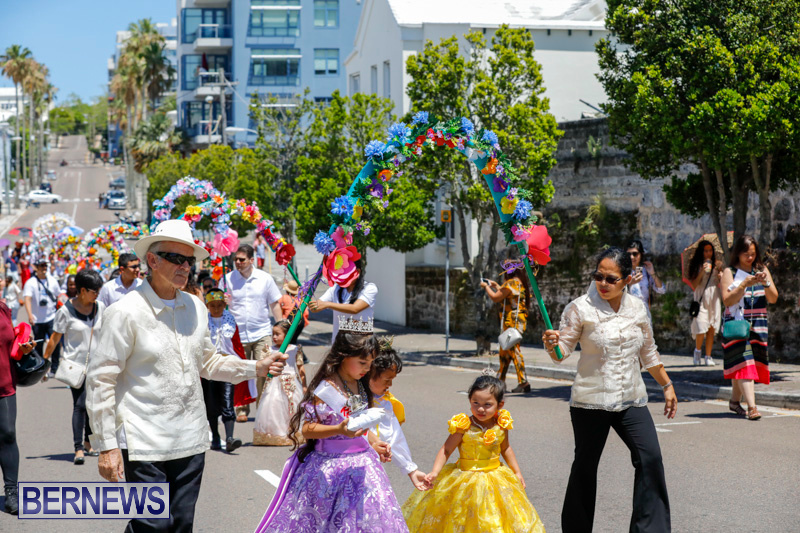 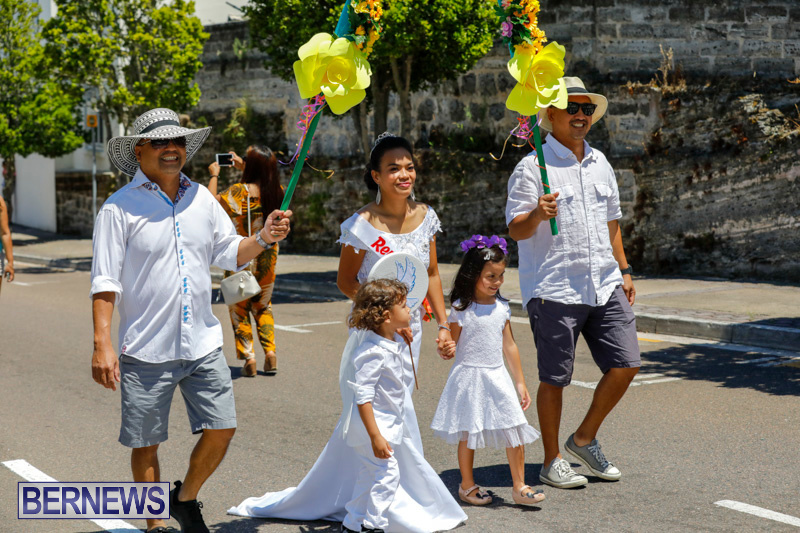 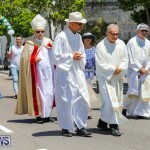 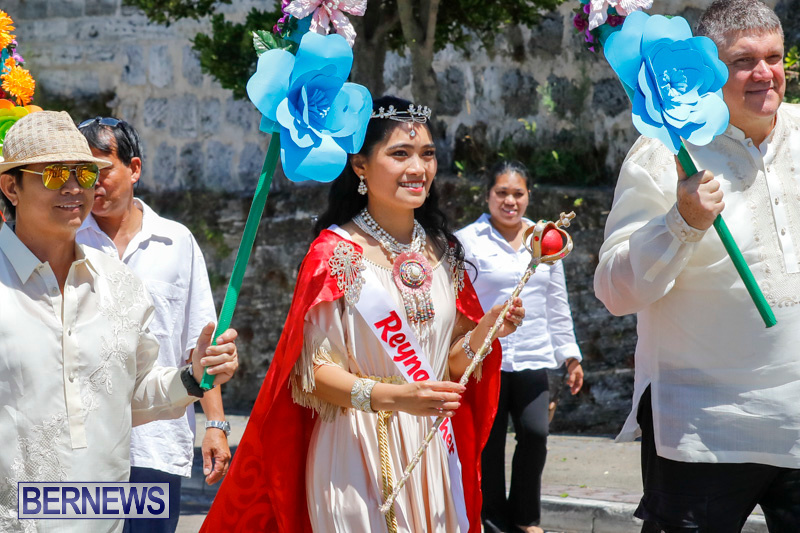 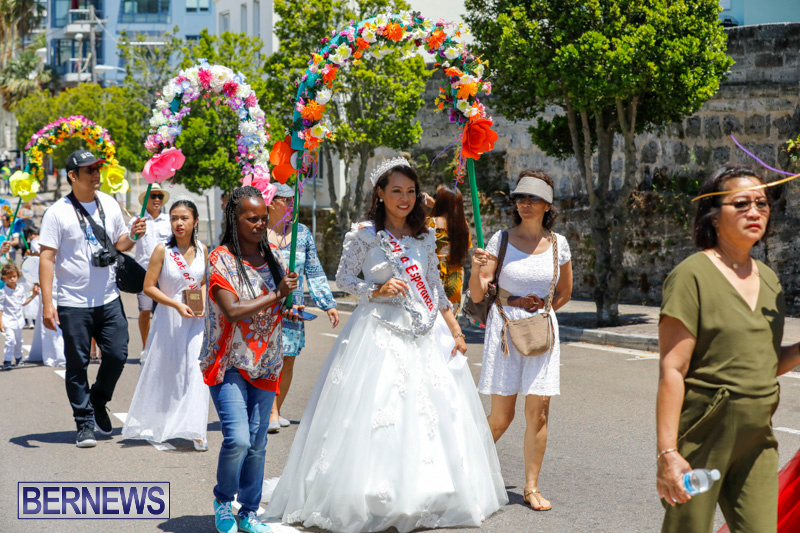 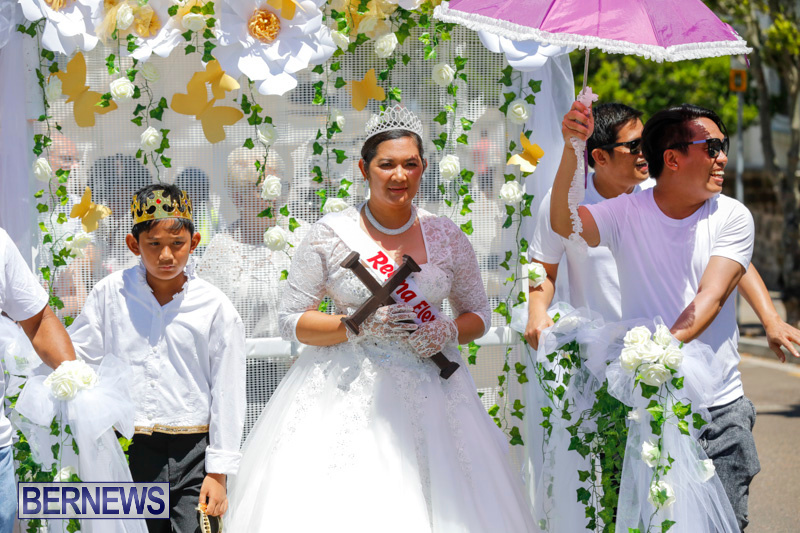 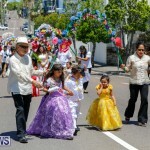 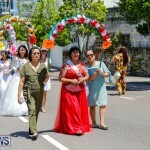 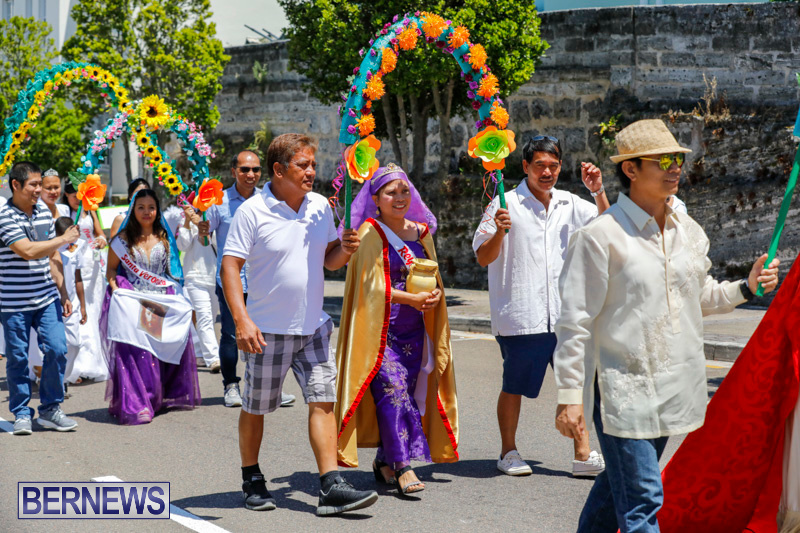 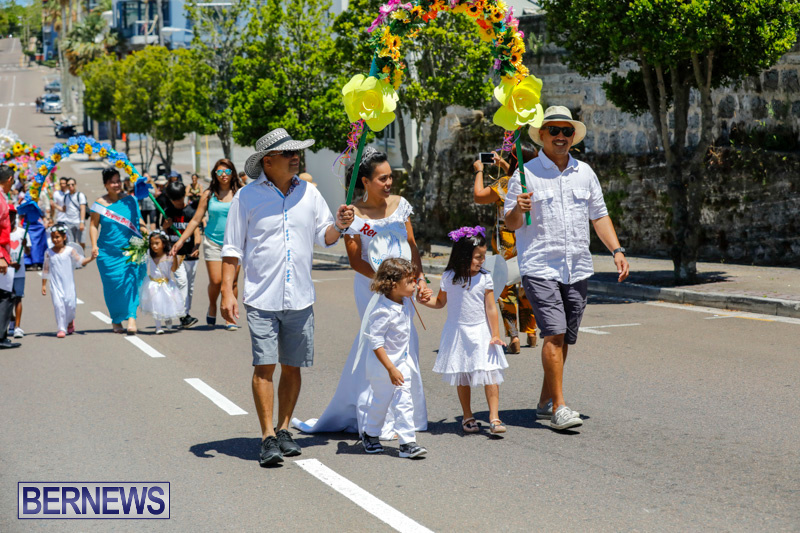 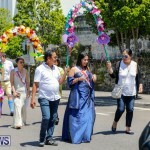 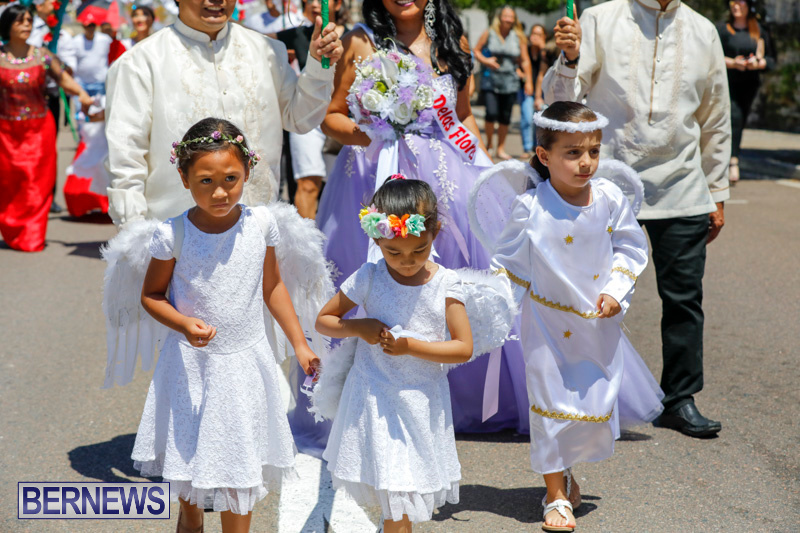 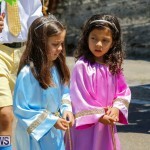 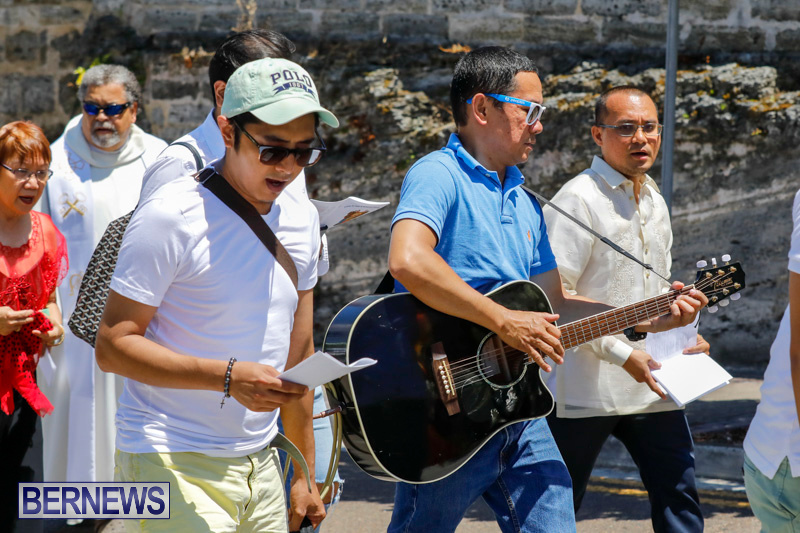 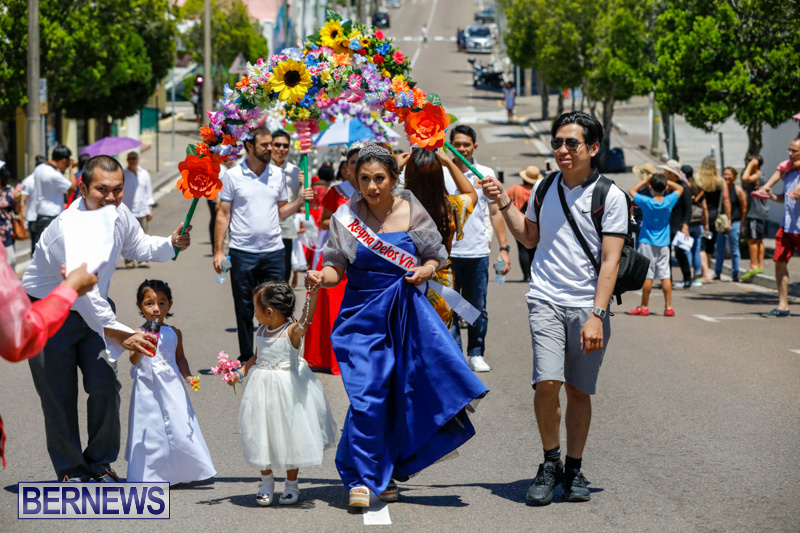 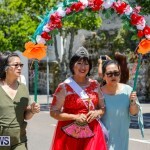 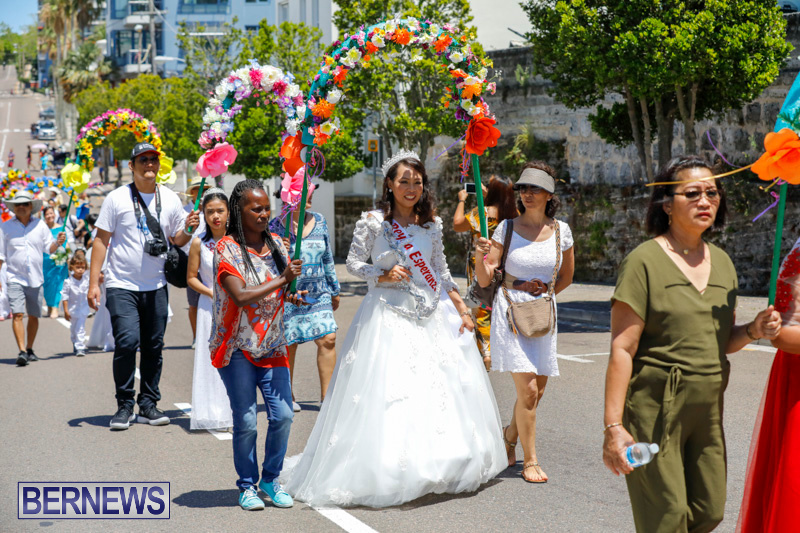 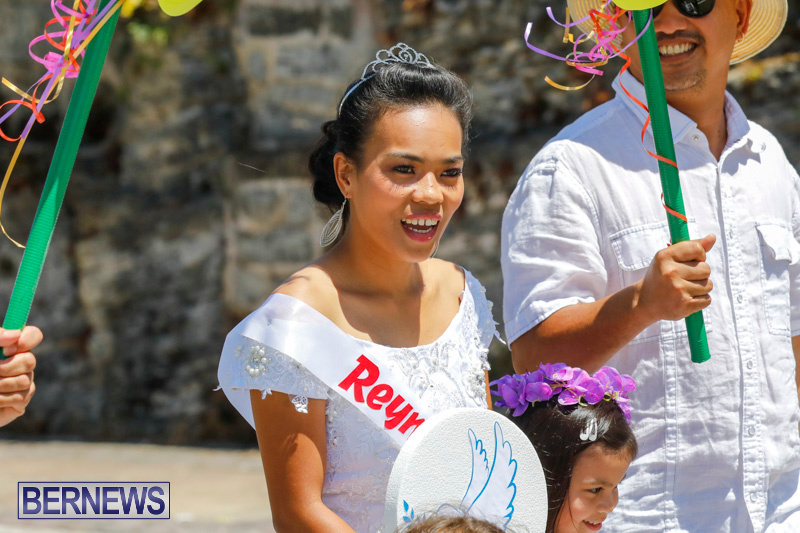 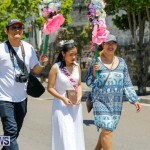 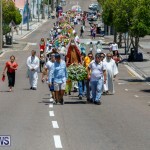 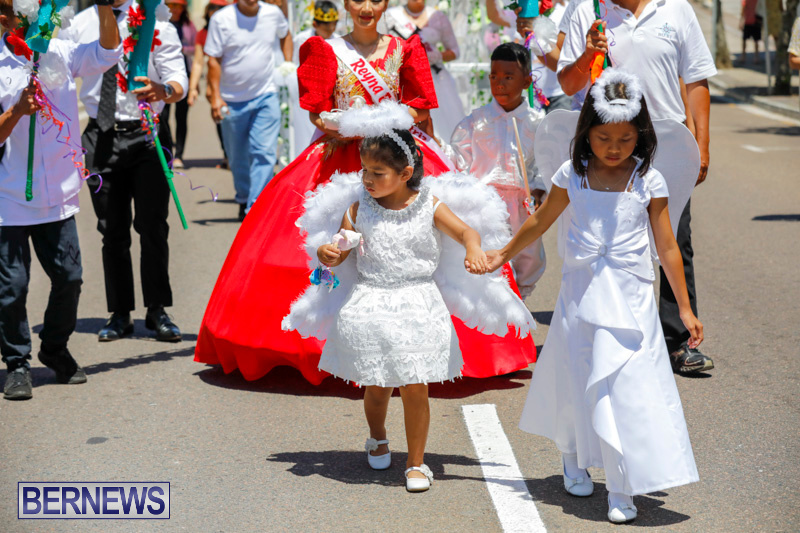 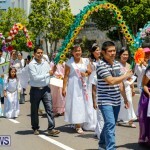 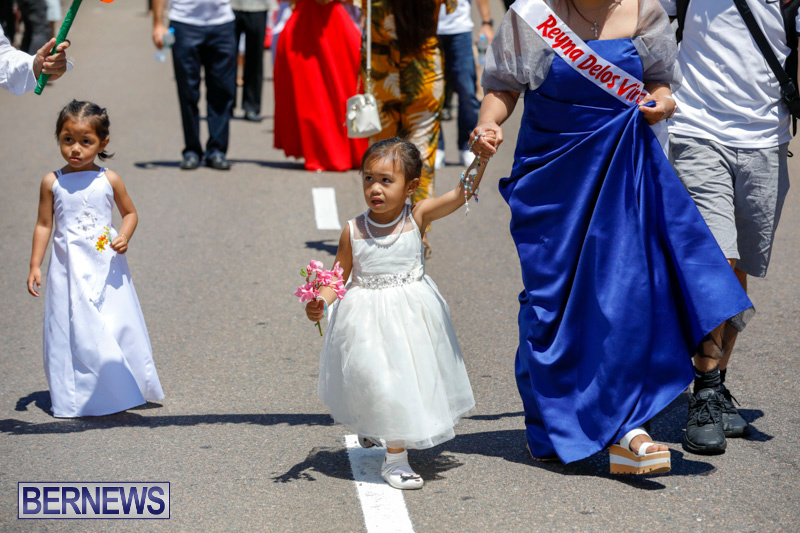 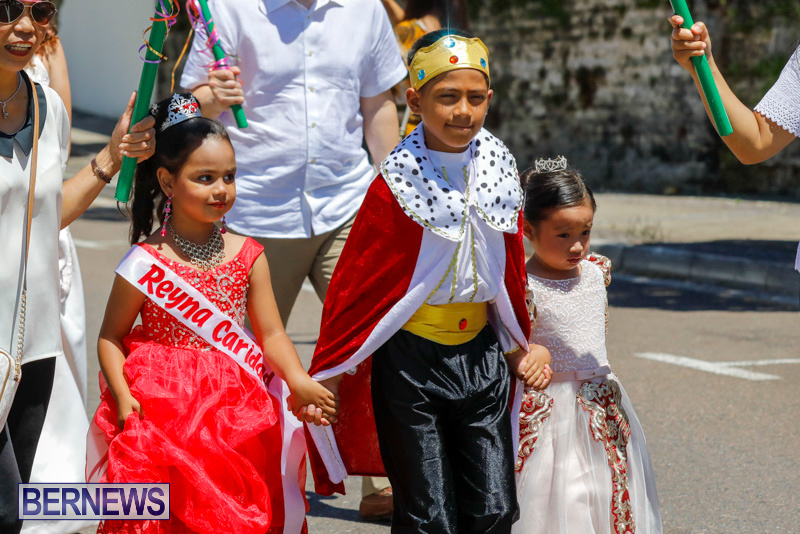 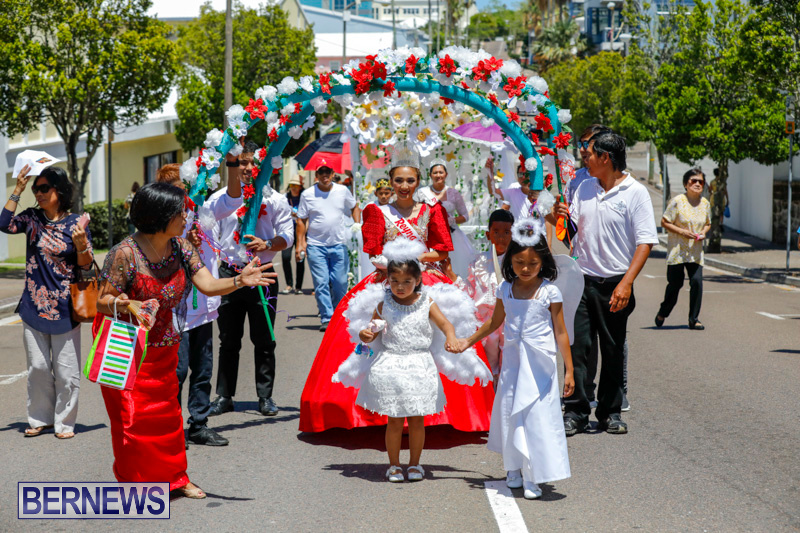 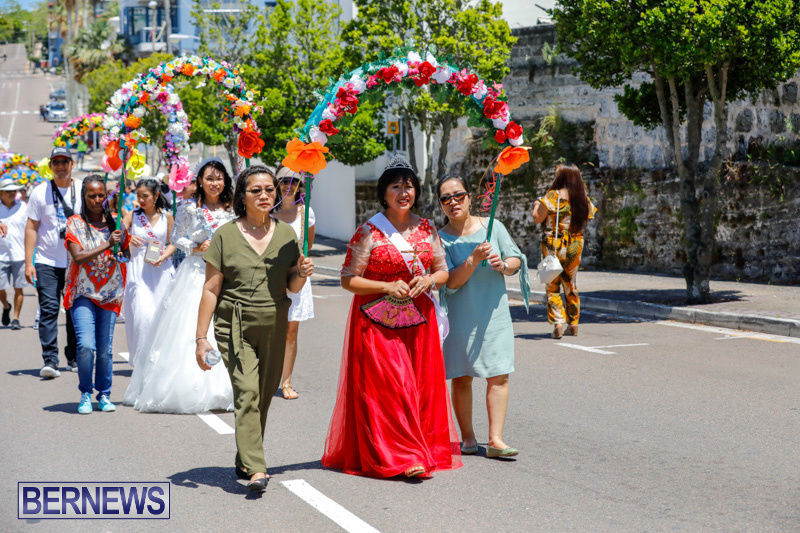 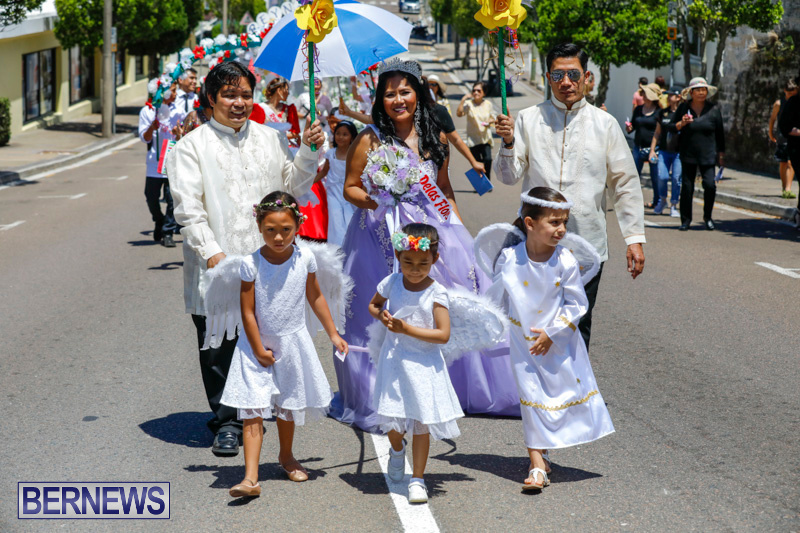 [Updated with photos] The Filipino Community celebrated “Flores de Mayo” and “Santacruzan” today [May 27] with a church service and a procession that took place in Hamilton. 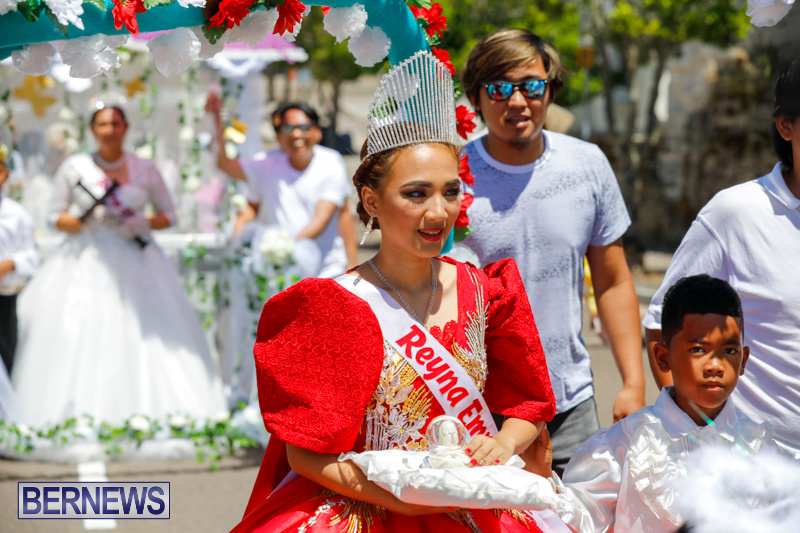 We will have a photo gallery later on and in the meantime the live video replay is below. 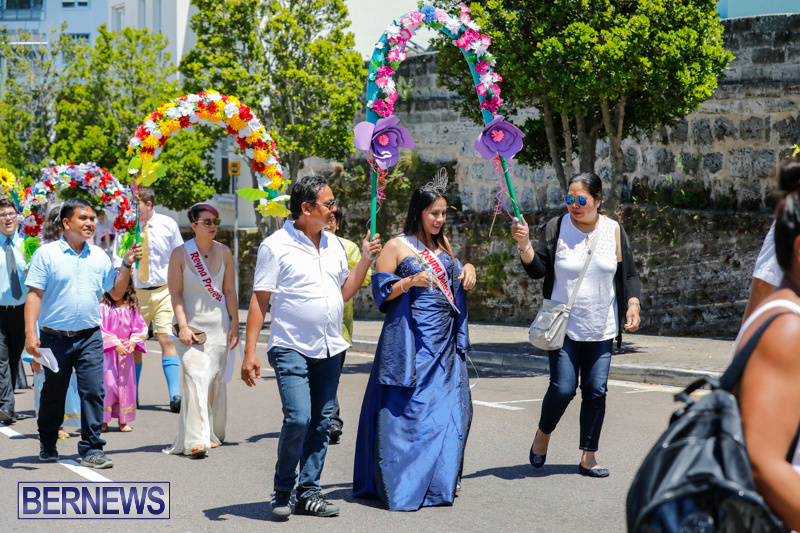 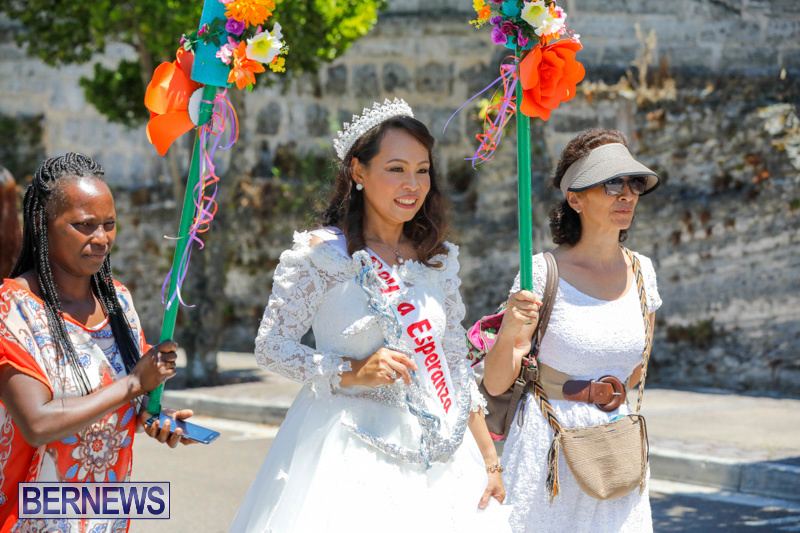 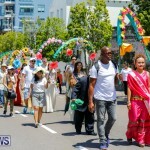 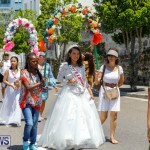 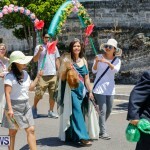 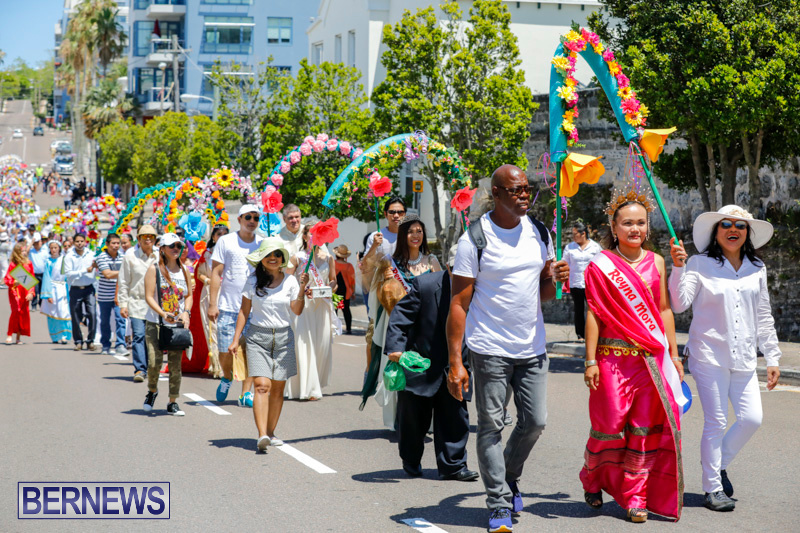 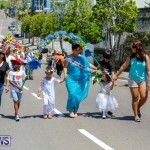 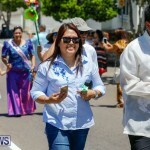 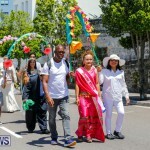 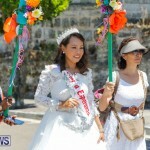 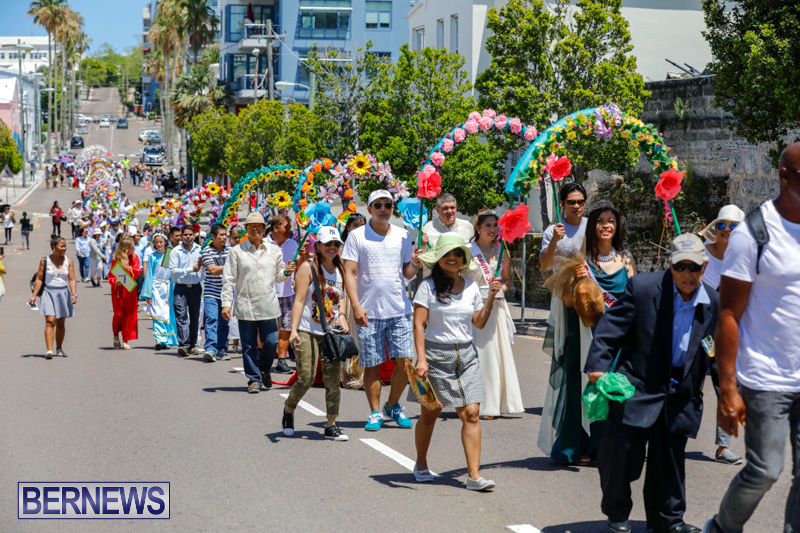 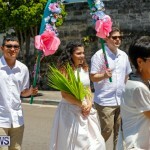 Thank yoy so much Bernews for covering this event as we share a new tradition from the Philippines to the Bermuda community. 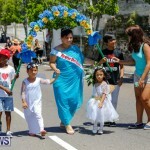 And thank you to all who came today to witness and support us. 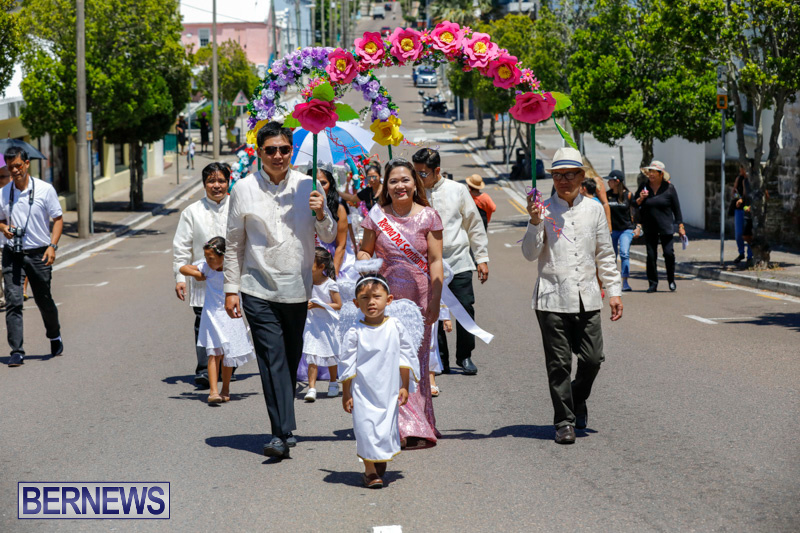 Mabuhay kayong lahat and God bless Bermuda! 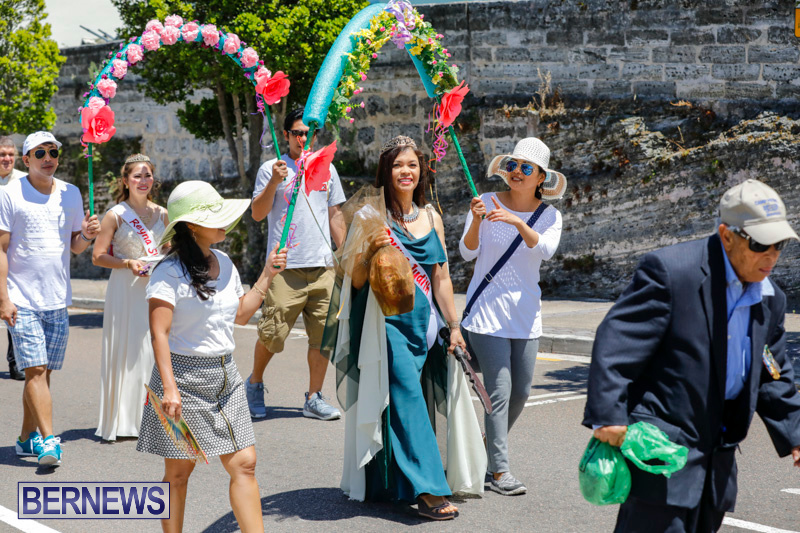 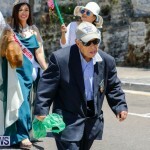 It’s wonderful to see traditions of different cultures in Bermuda. 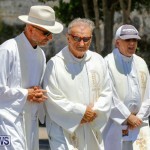 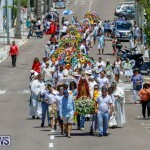 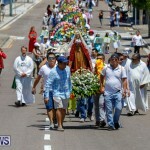 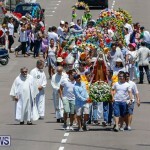 Very beautiful procession!! 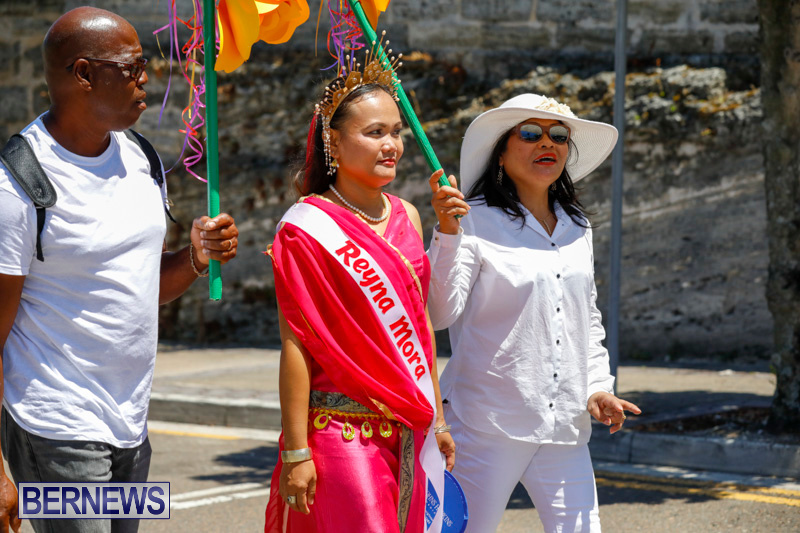 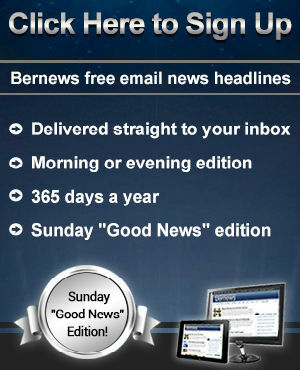 Well done to the Filipino community in Bermuda. 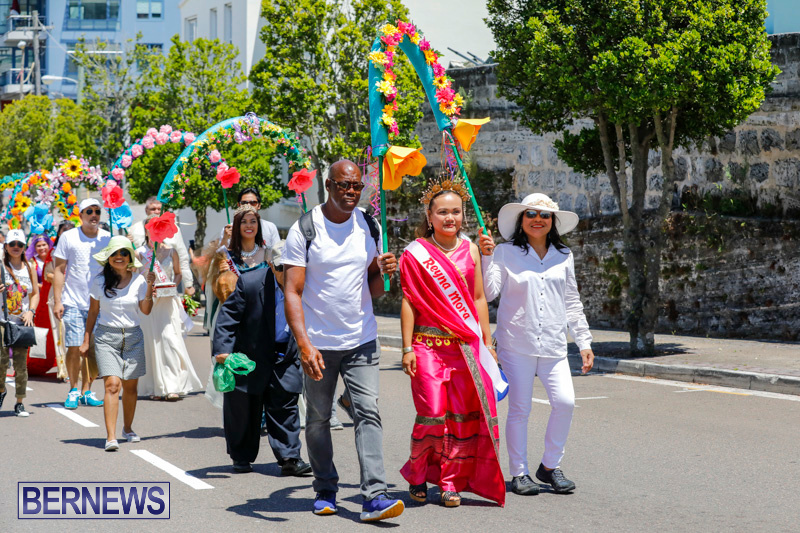 Its heartening to see Bermudas culture diversify and enrich as we mature into multi faceted community. 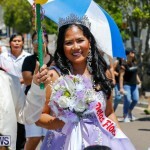 Good job to the Filipino community. 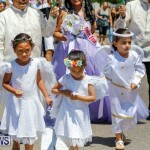 You are part of makes up who we are.